Congratulations to Erik Bidstrup for being selected as a Northwestern University Beckman Scholar. Only two students are selected annually. Way to go! Blake Rasor named Brady Fellow! Congratulations to Blake for being named a Brady Fellow. Way to go! Jess Stark wins poster award at Glycobiology GRC! Congratulations to Jess for receiving a poster award at the Glycobiology GRC. Way to go! 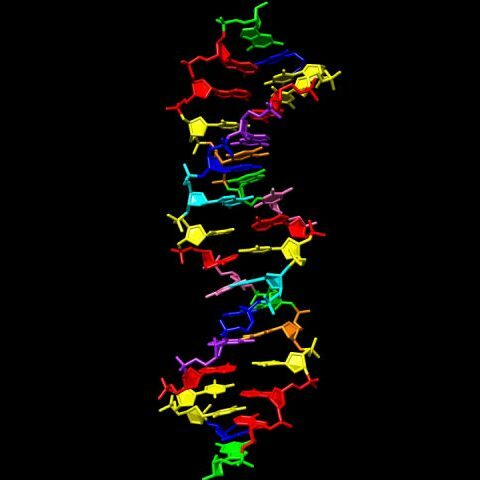 By combining four synthetic nucleotides with the four found naturally in nucleic acids, researchers have created eight-letter DNA molecules that look and behave like the real thing. 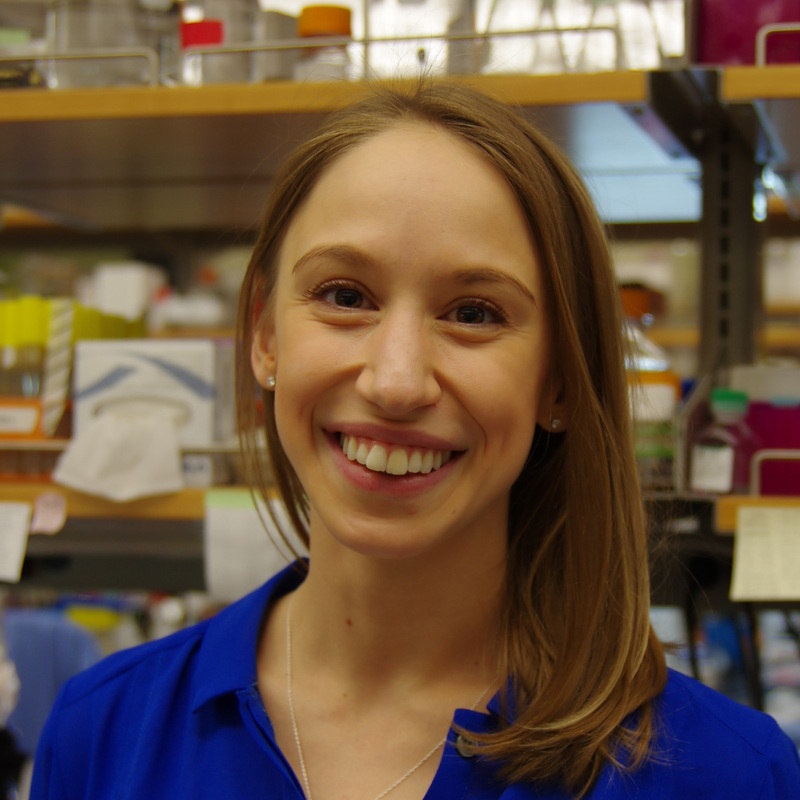 Anne receives Ribosome 2019 Meeting Fellowship! Congratulations to Anne for receiving a Ribosome 2019 Meeting Fellowship. Way to go! 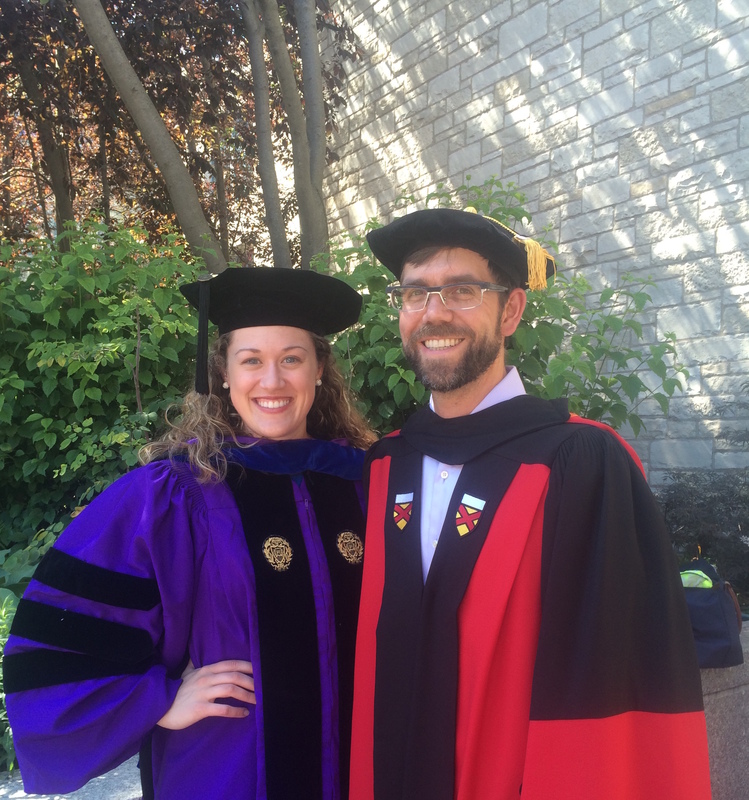 Dr. Jessica Stark successfully defends her thesis on developing cell-free systems for on-demand biomanufacturing. Congratulations, Jess! 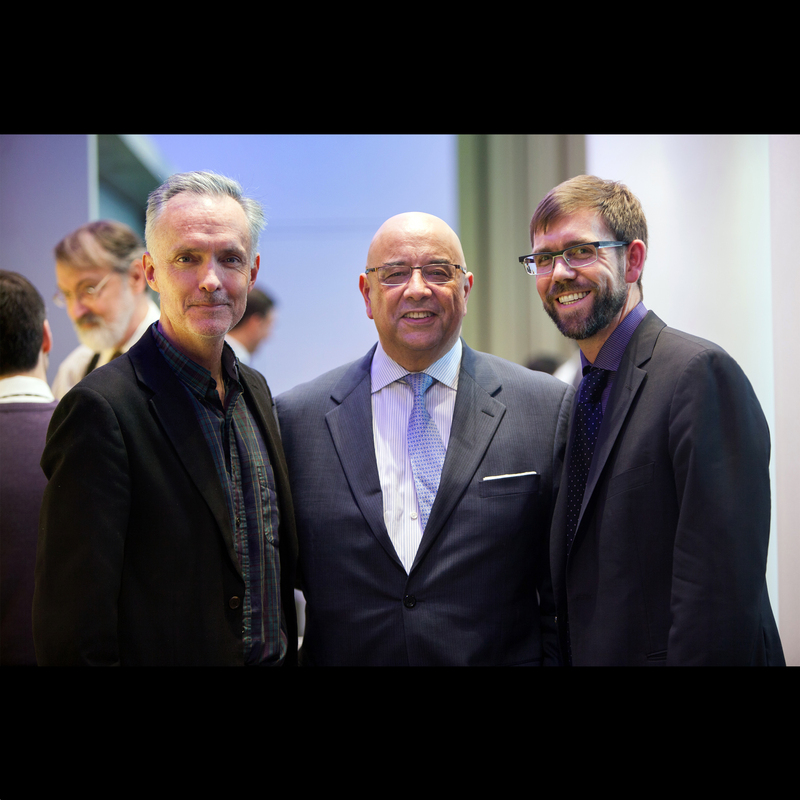 Mike was the Distinguished Speaker for the launch of the expanded Imperial College London Centre for Synthetic Biology. 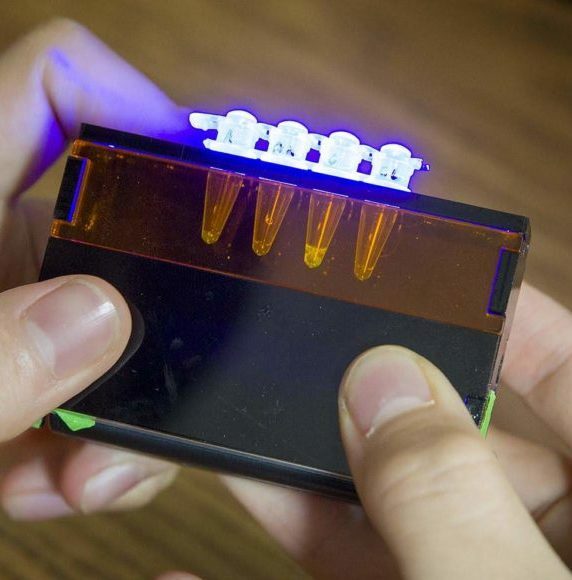 Emily Ayshford covers BioBits synthetic biology educational kits in an article for the Fall 2018 Northwestern Engineering Magazine. Anne selected for Stanford PRISM program! 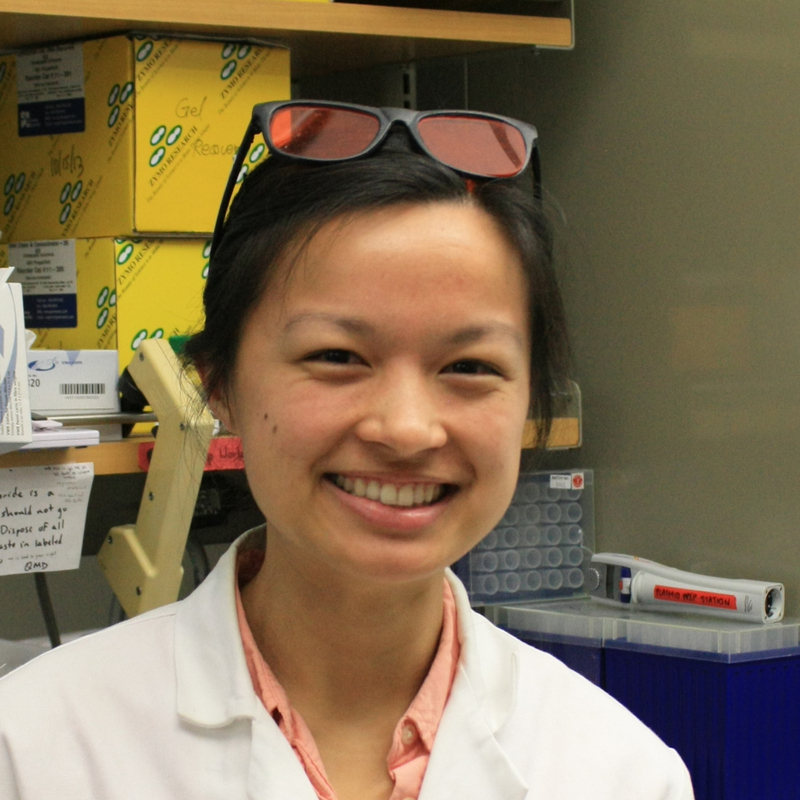 Anne d’Aquino has been selected for the 2019 Stanford University Postdoctoral Recruitment Initiative in Sciences and Medicine Program (PRISM). Congratulations, Anne! 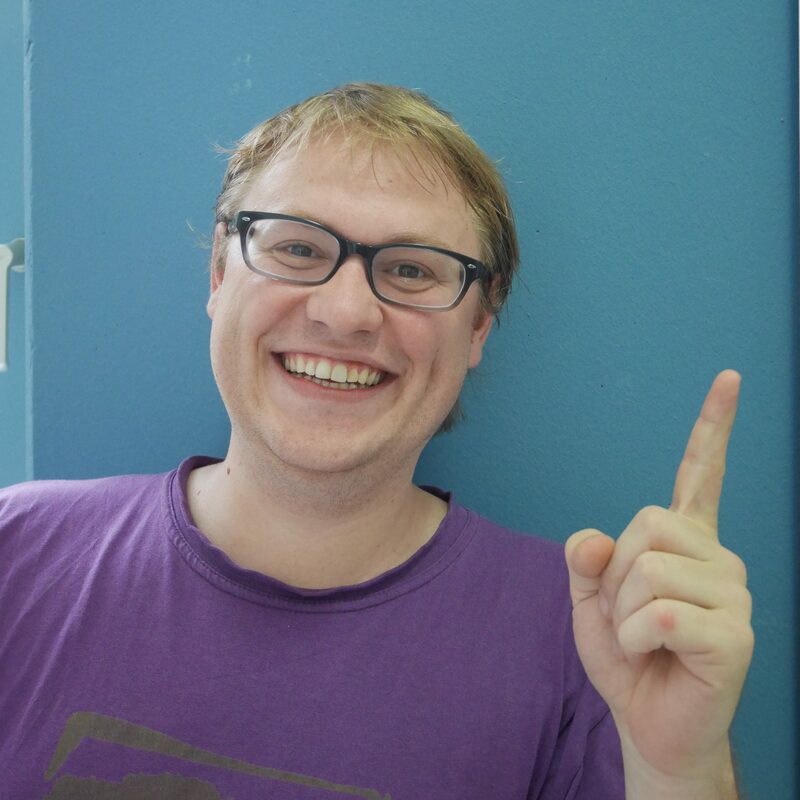 Congratulations to Bastian for being awarded a Swiss National Science Foundation Early Postdoc.Mobility Scholarship. Way to go! 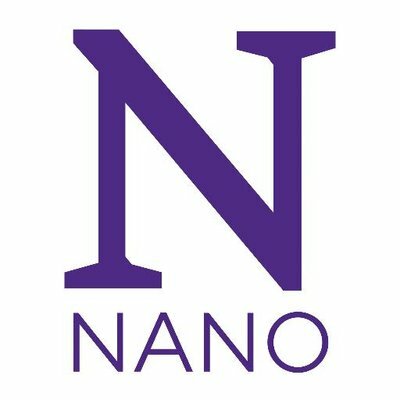 The U.S. Air Force Center of Excellence for Advanced Bioprogrammable Nanomaterials, or C-ABN, was established at Northwestern University in 2015. 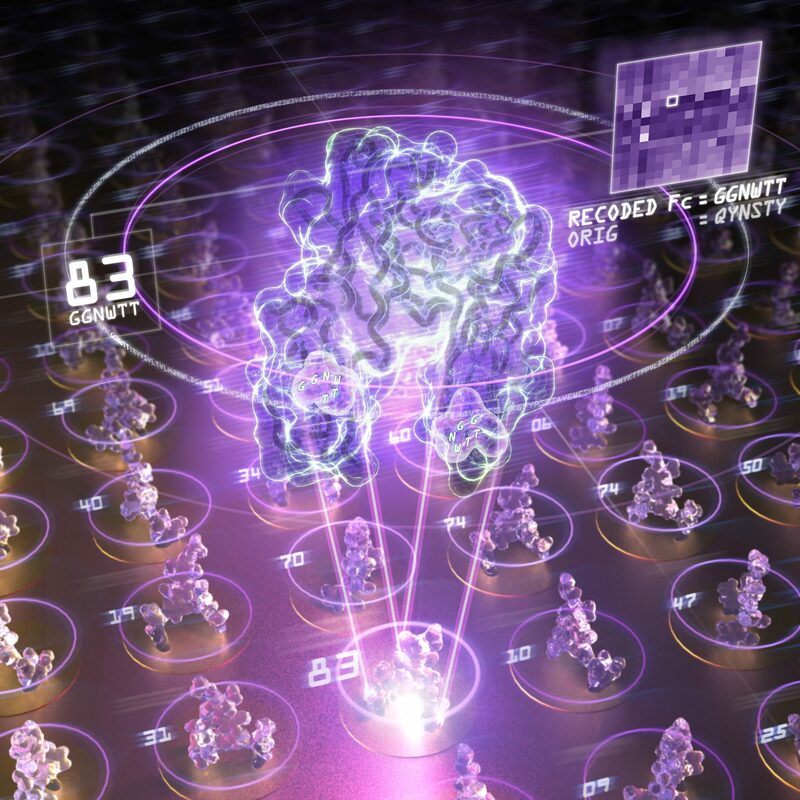 The only Center of its kind in the country, the C-ABN represents an exciting new synergistic collaboration between researchers at Northwestern University and the U.S. Air Force Research Laboratory (AFRL). Check out a promotional video (including an appearance by Mike) here! 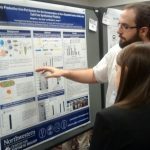 Erik wins Undergraduate Research Grant! 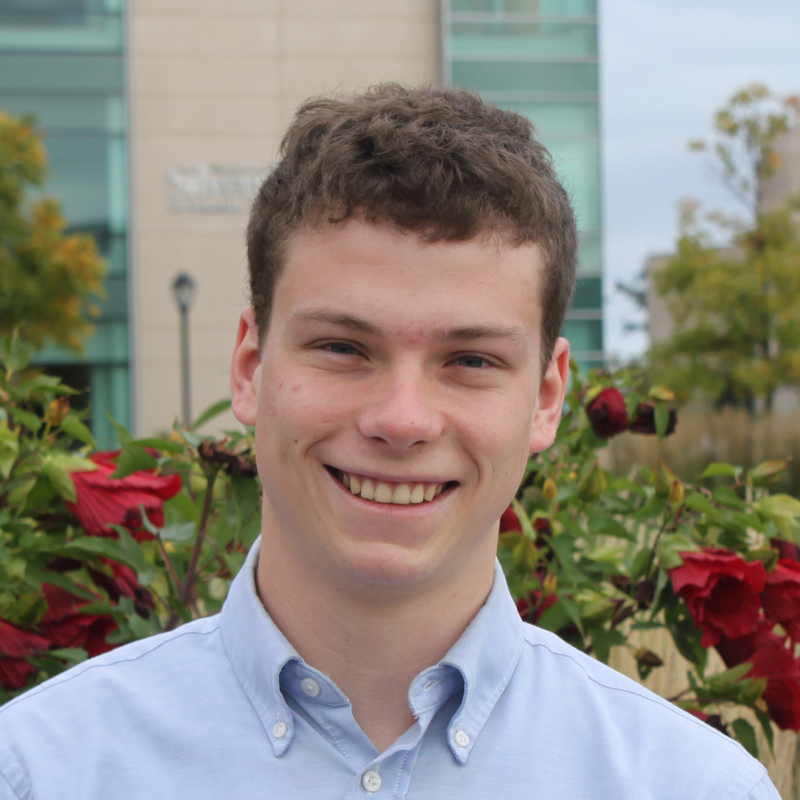 Congratulations to Erik for receiving a University Office of Undergraduate Research Academic Year Undergraduate Research Grant. Erik will be conducting research over the course of this school year on the topic of ribosomal design with graduate student mentor Do Soon. Way to go! Anne wins IBiS travel award! Anne d’Aquino has been awarded an IBiS travel award to present at the ASCB|EMBO 2018 meeting! Congratulations, Anne! Ashty wins Peterson award from ACS! Ashty has received the W.H. Peterson Best Student Oral Presentation award from ACS BIOT. Congratulations, Ashty! 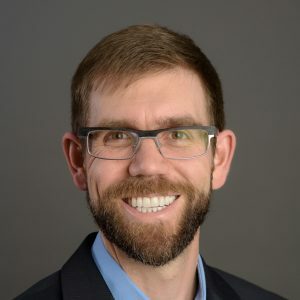 Mike was recently recognized by MHAonline.com in their post “10 Biotechnology and Bioenterprise Professors to Know.” The list is comprised of outstanding professors and universities, and aims to recognize some of their great contributions to academia, as well as the rise in online education. 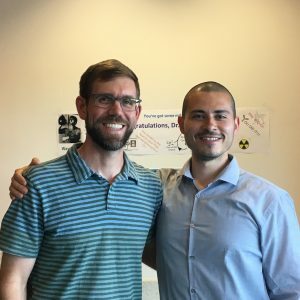 In conjunction with the Defense Threat Reduction Agency’s Chemical and Biological Technologies Department, Mike has been working with Matthew DeLisa at Cornell and fellow Northwestern professor Milan Mrksich to develop the Glycosylation Sequence Characterization and Optimization by Rapid Expression and Screening (GlycoSCORES) system. 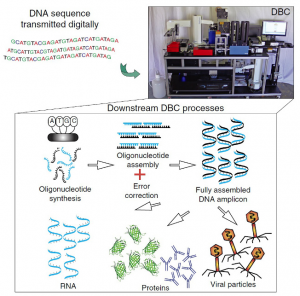 This system utilizes rapid protein synthesis, glycosylation and characterization to determine the function of newly discovered proteins for accelerated drug discovery. 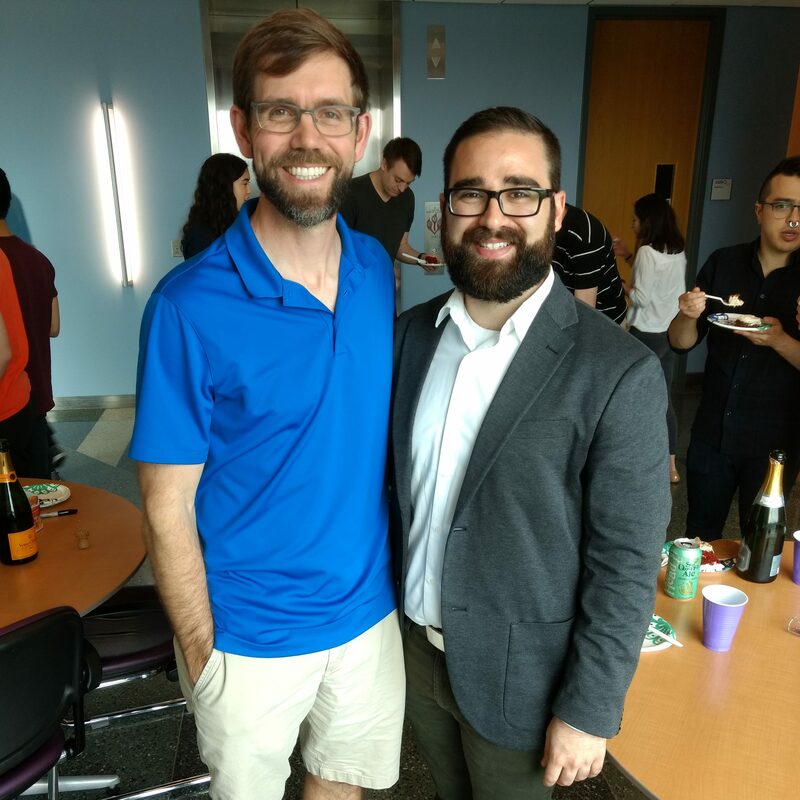 The lab joined Ben to celebrate the successful defense of his PhD thesis! 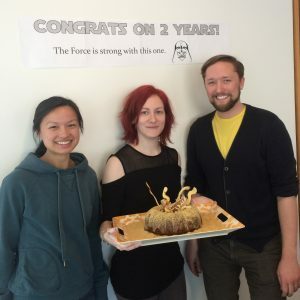 Congrats, Ben! 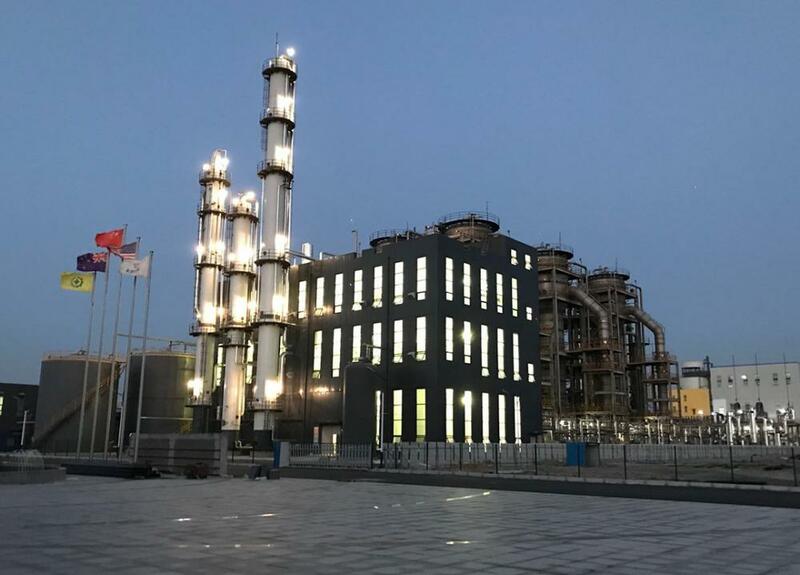 In an article by Julianne Beck, Mike discusses a multi-institutional project funded by the Biomass Research and Development Initiative (BRDI) that aims to combine recent technological advancements in bioengineering to develop a transformative production system for next-generation biofuels and bioproducts. 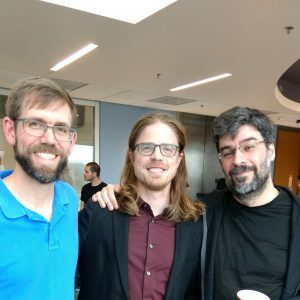 The inaugural Central US Synthetic Biology Workshop took place September 6-7, 2018 to build community and foster a vibrant synthetic biology bioeconomy in the Central US. Read more here (article by Alex Gerage). Jessica Stark has received the 2018 Distinguished Graduate Researcher Award, an honor bestowed on the most outstanding graduate researcher in Northwestern’s Department of Chemical and Biological Engineering. Jess’ outstanding publication and patent record highlights her PhD research to create enabling technologies for on-demand production of personalized medicines and vaccines. 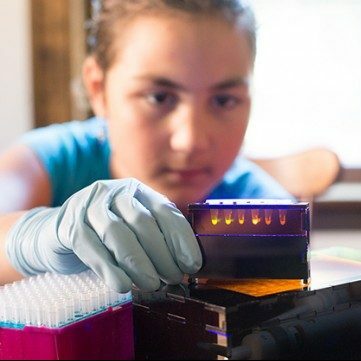 In addition, Jess is a co-creator of BioBits kits, inexpensive and user-friendly educational kits for teaching molecular and synthetic biology concepts, which have recently been spun out into a non-profit company. Congratulations, Jess! 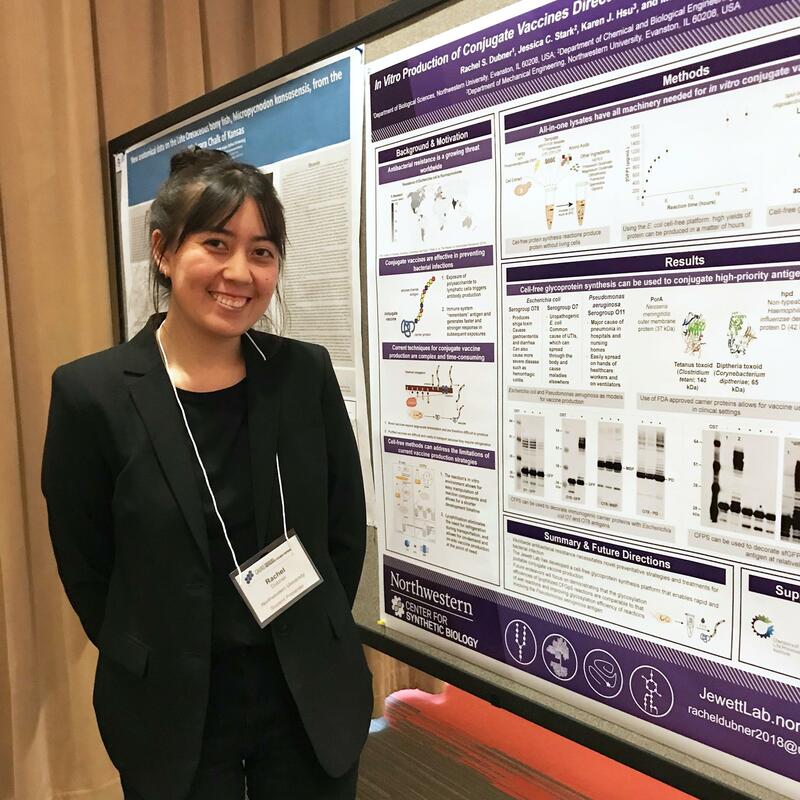 Jess presented her research on glycoconjugate vaccines at the inaugural 2018 Central US Synthetic Biology Workshop held at Northwestern. Great job! 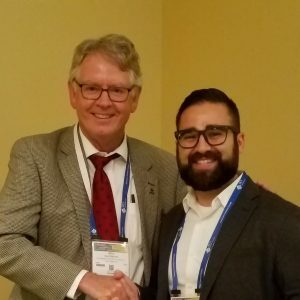 Ashty receives award at ACS Fall National meeting! 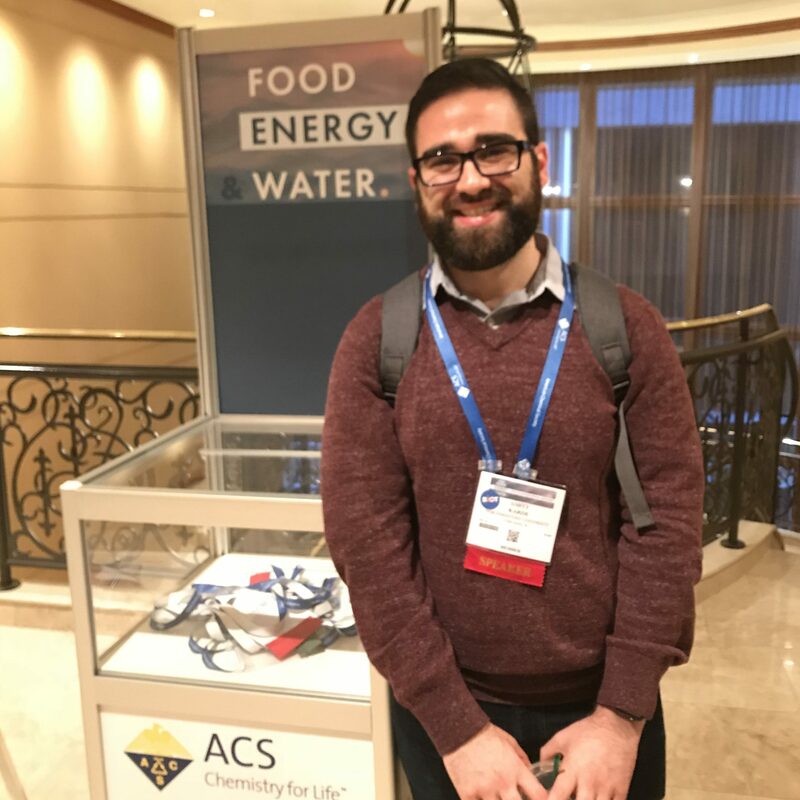 Congratulations to Ashty for receiving the first place paper at the Industrial & Engineering Chemistry’s Graduate Student Award Symposium during the ACS Fall National Meeting! Prizes were awarded to the top three talks out of 18 at the symposium. Way to go! 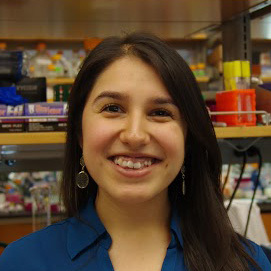 Congratulations to Sam for being named an NIH Biotechnology Training Fellow. Way to go! Read more here (article by Amanda Morris). Jessica Stark, Anne d’Aquino, and Jasmine Hershewe lead BioBuilder workshops on campus! 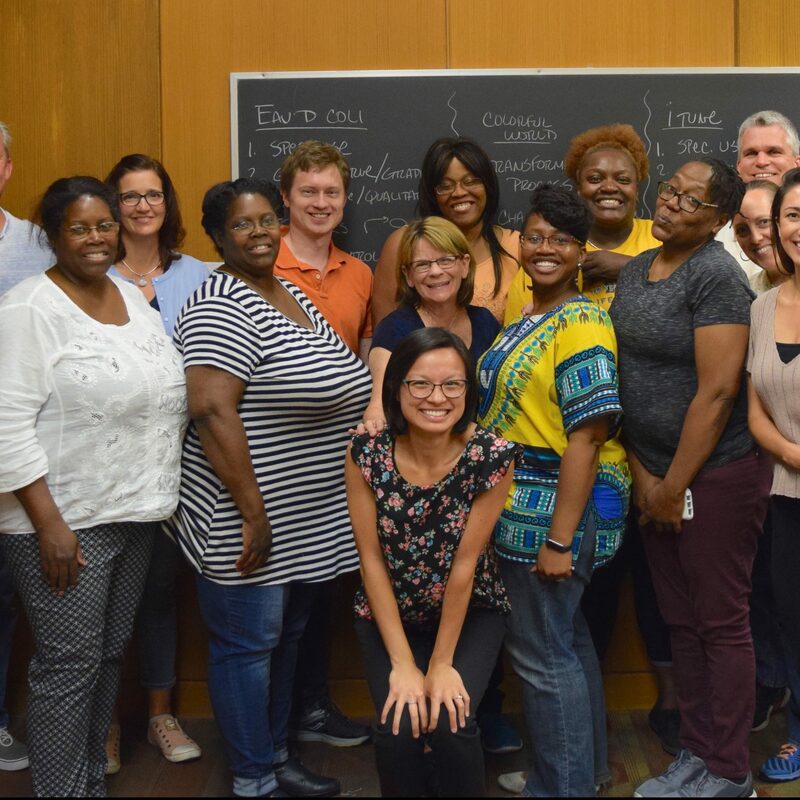 Jessica, Anne, and Jazzy hosted BioBuilder workshops where they taught Chicago teachers about Synthetic Biology and how to bring SynBio to their classrooms. 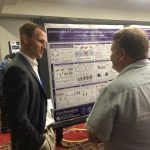 Ashty received a “Best of BIOT” award for his talk – Building a bridge between cell-free experimentation and cellular metabolic engineering – presented at the recent ACS National Meeting in New Orleans in April 2018. The presentation was very well received and of interest to the broader BIOT community. 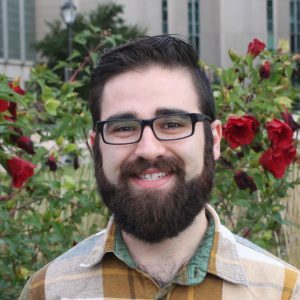 Mike has received the 2018 Young Investigator Award from the Biochemical Engineering Journal! This annual award recognizes outstanding excellence in research and practice in the field of biochemical engineering. 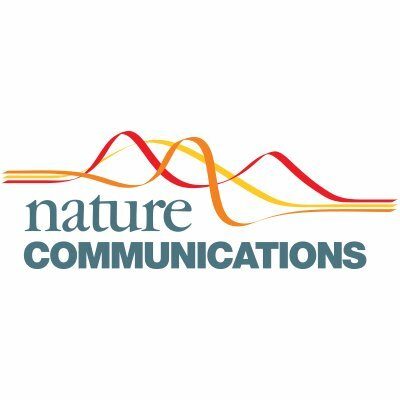 Jess’ paper “Single-pot Glycoprotein Biosynthesis Using a Cell-Free Transcription-Translation System Enriched with Glycosylation Machinery” was just published in Nature Communications! 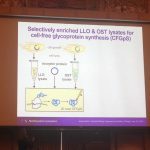 Read more here about how cell-free glycoprotein synthesis provides a cheaper, more rapid way to make medicines (article by Tom Fleischman). 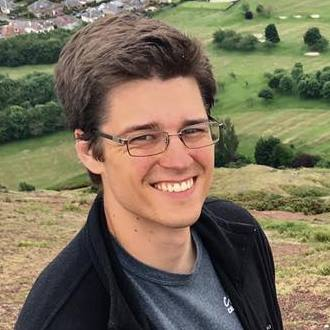 Quentin Dudley (PhD, 2017), currently a postdoctoral researcher at the Earlham Institute/John Innes Centre (Norwich, UK), has received funding from the OpenPlant fund to use E. coli cell-free protein synthesis (CFPS) for expressing wheat transcription factors. Read about this project here! 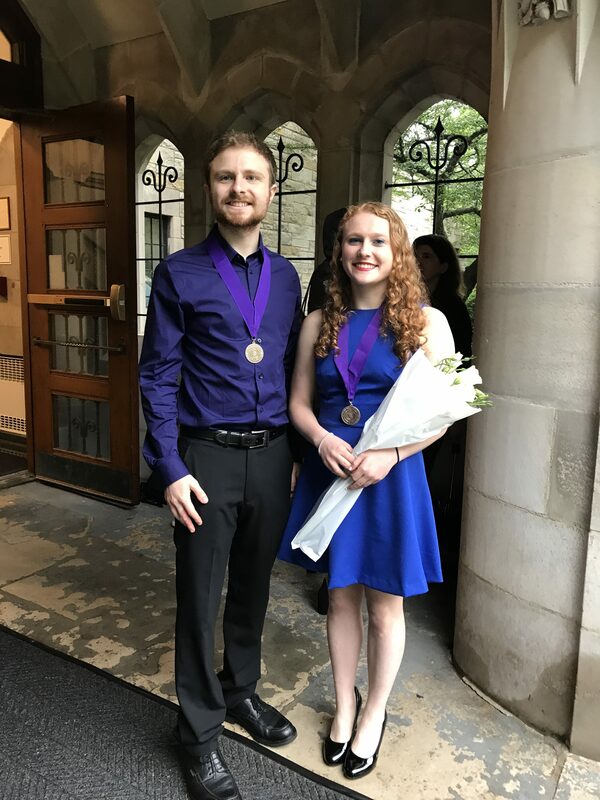 Sam Davidson, Emily Roney, and Samantha Crowe (not pictured) were honored for their membership in Tau Beta Pi, an honor society for academic excellence in engineering, at the Northwestern University Honors Ceremony for graduating seniors. 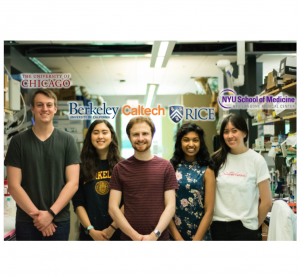 They credit the Jewett lab for going above and beyond to support them through their time as undergraduates at Northwestern. Congratulations! 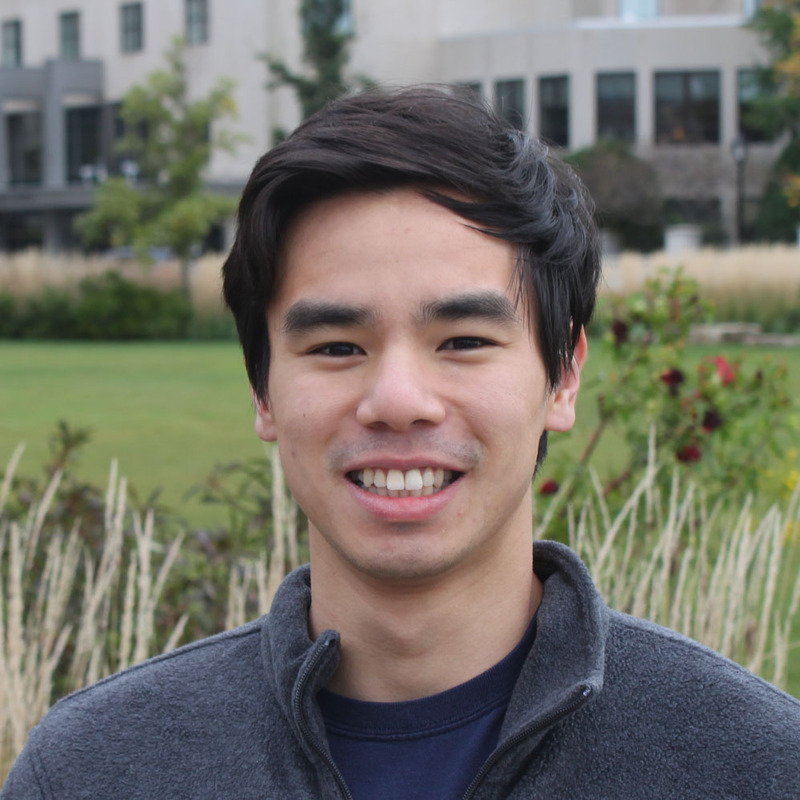 The Northwestern Gotaas Award is given to one graduating senior in McCormick who has demonstrated excellence in research as an undergraduate. Congratulations, Tasfia! Congratulations to Jessica Stark for being selected to attend the inaugural MIT Chemical Engineering Rising Stars Workshop in October 2018. Way to go! 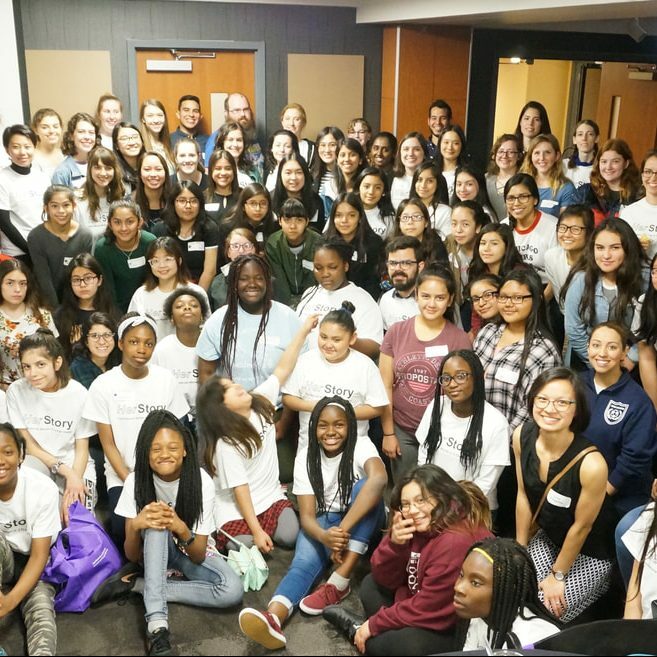 Jewett lab members inspire young women in STEM during HerStory 2018! Jewett lab members Anne d’Aquino, Jess Stark, Charlotte Abrahamson, and Katie Warfel volunteered with HerStory 2018 at the MSI — HerStory is an event aimed to inspire young women in STEM. 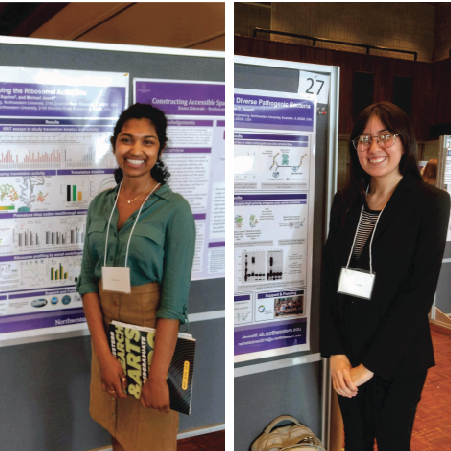 Tasfia and Rachel presented their research projects at the Northwestern Research & Arts Undergraduate Resarch Expo. Congratulations Tasfia and Rachel! Congratulations to the members of the Jewett lab who will be attending graduate school next year! Thank you for your work and we look forward to watching your graduate careers unfold. Ashty Karim has successfully defended his dissertation entitled “A cell-free framework for rapid enzymatic prototyping and discovery” and will be graduating as Dr. Ashty Karim. Congrats, Ashty! Congratulations, Alysse! 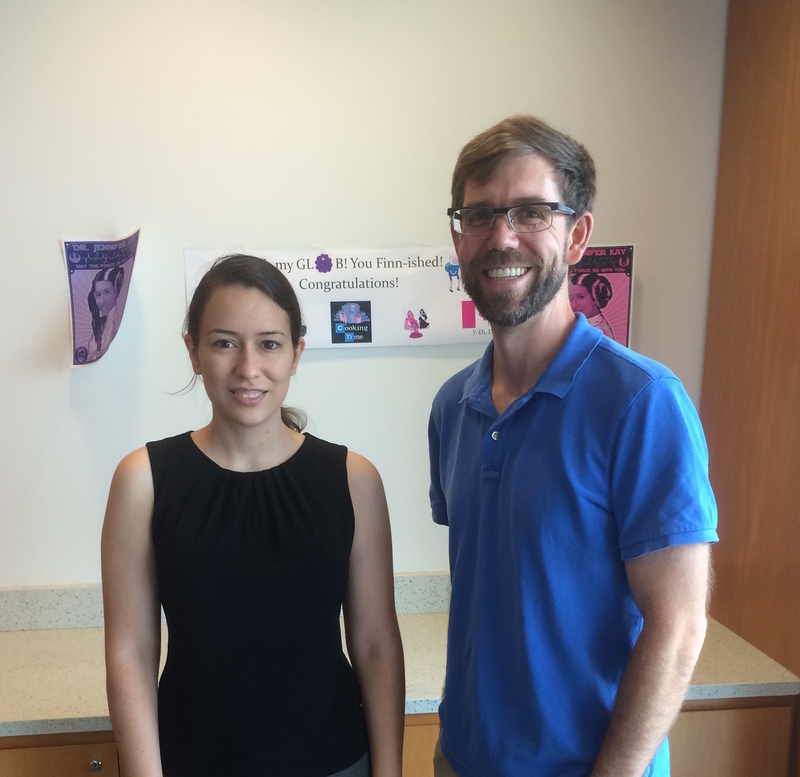 Alysse will be conducting research full-time with Anne d’Aquino for 10 weeks this summer. 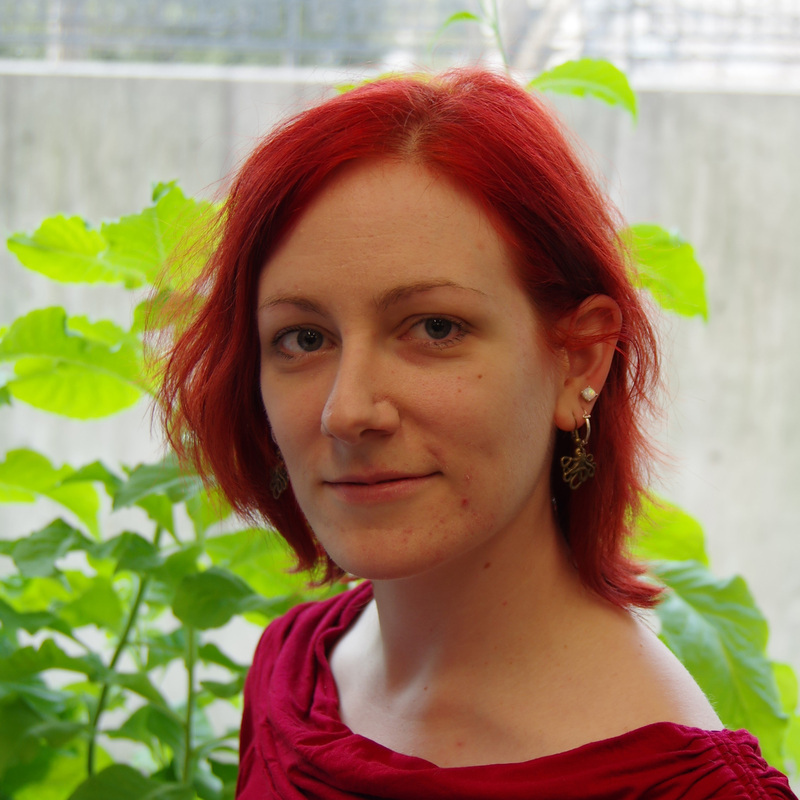 In her work, she will be building and characterizing ribosomal variants in vitro. 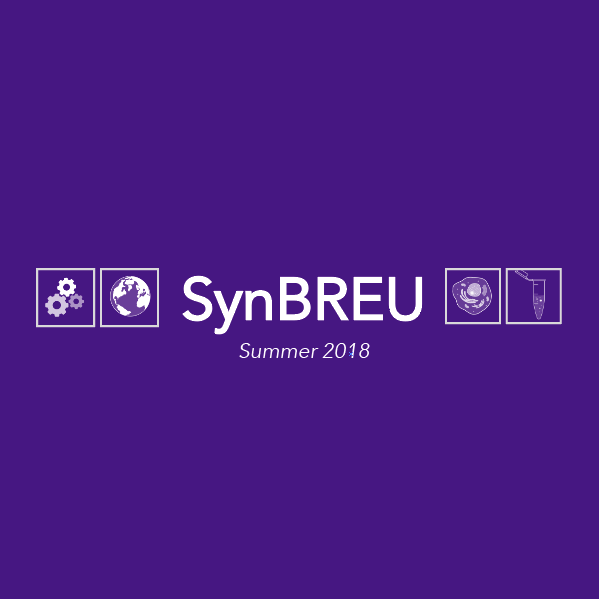 Through the Biomass Research and Development Initiative (BRDI) the lab has been awarded a grant to develop a new platform for engineering reversal of β-oxidation in clostridia for synthesis of bioproducts from biomass syngas. This is an exciting and collaborative endeavor with colleagues at Rice University, GeorgiaTech, and LanzaTech. Congratulations, Erik! Erik will be conducting research full-time with Do Soon for 10 weeks this summer. He will be developing methods for high-throughput building and testing of ribosome variants. 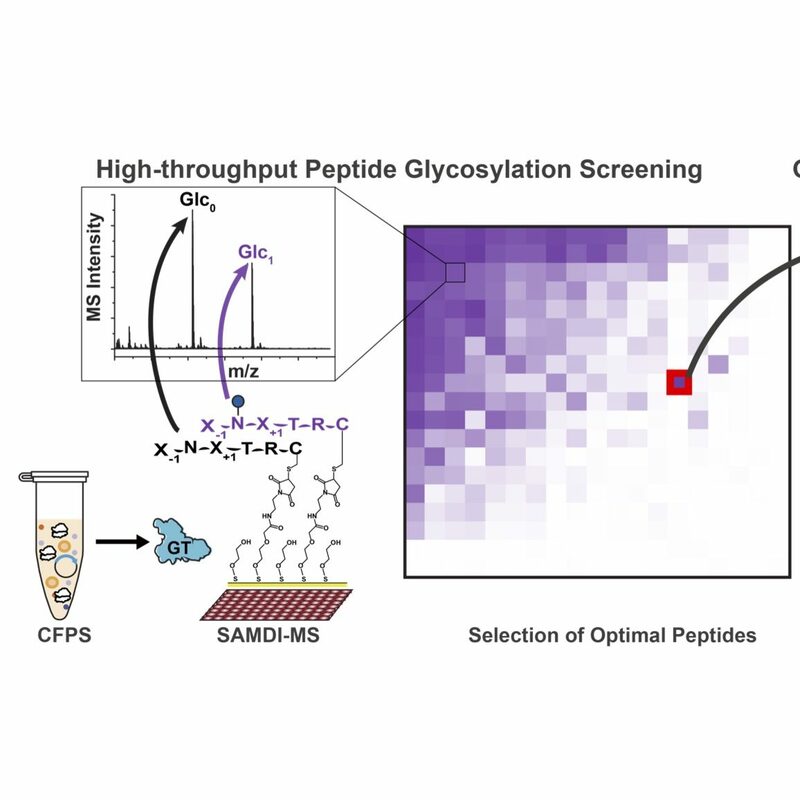 In an article by Stephan Benzkofer, Mike and Milan Mrksich discuss their collaboration and new technique GlycoSCORES, which rapidly screens sequences for making glycoproteins. 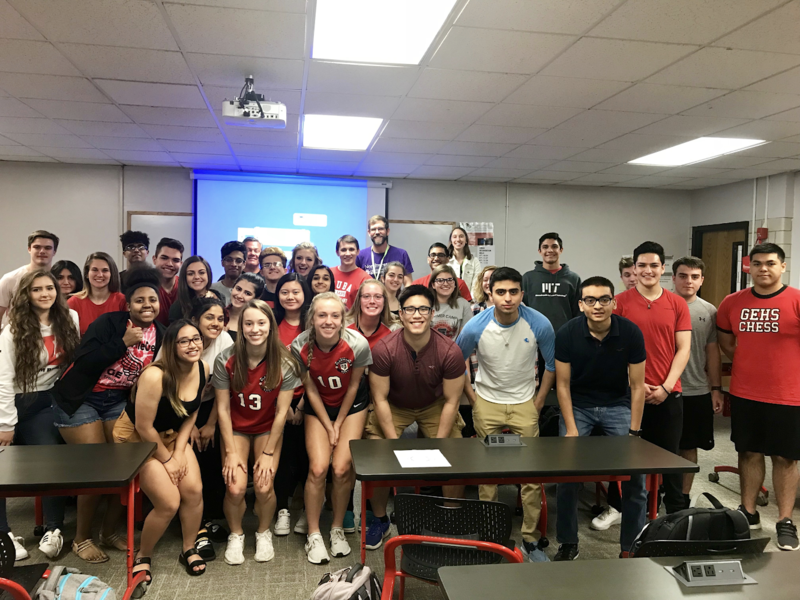 Mike and Jess Stark visited Tom Martinez’s advanced biology class at Glenbard East High School in Lombard, IL to discuss the Jewett labs research and synthetic biology. Go Rams! Ashty has received a competitive travel grant to attend the Metabolic Engineering 12 conference in Munich, Germany this June. 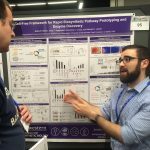 He will present a poster on his work developing cell-free systems for pathway prototyping. Congrats, Ashty! 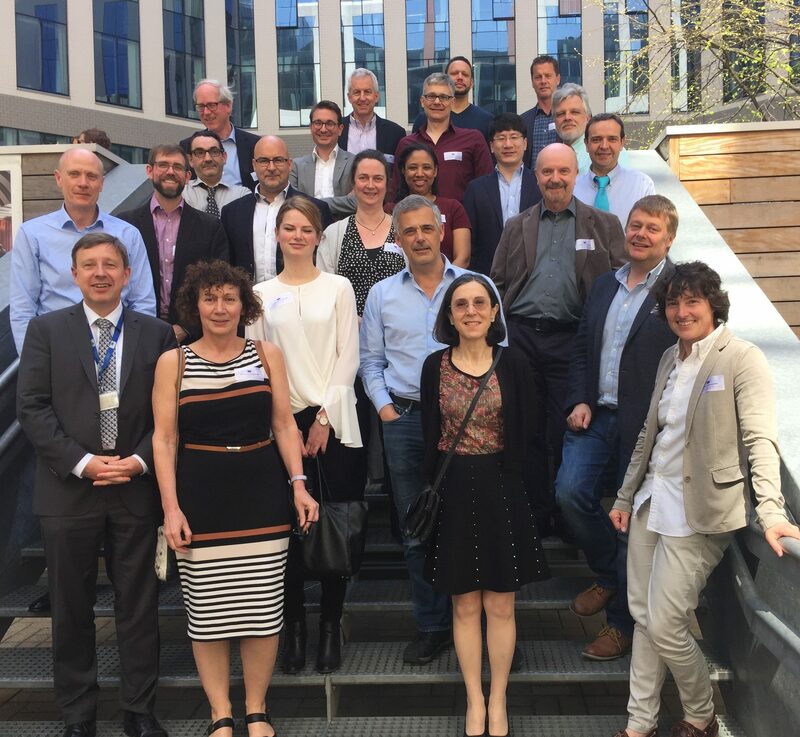 Approximately 20 scientists met in Brussels as part of an EU-US High-Level Expert Meeting to examine opportunities to advance basic science, emerging technologies and standards in biomanufacturing. 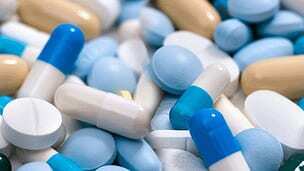 A key focus was on cell-free biomanufacturing. 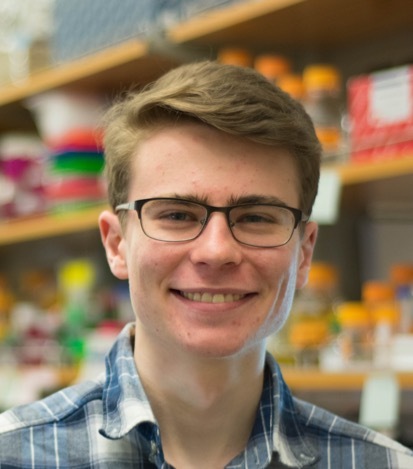 Weston was awarded a National Science Foundation grant to work for 6 months in the lab of Prof. Hans Wandall at the Copenhagen Center for Glycomics in Denmark through the Graduate Opportunities Worldwide (GROW) program. Congratulations, Weston! 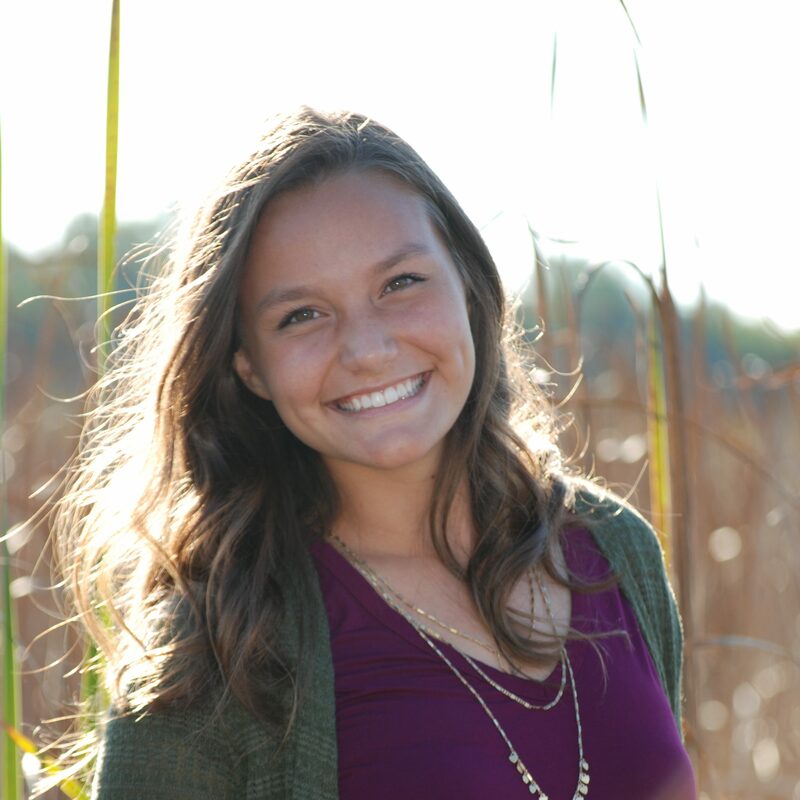 Congratulations to Lauren Clark for being selected to participate in the “Leadership Fundamentals” course by the Center for Leadership! 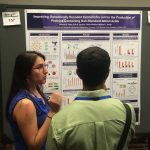 Rachel Dubner’s poster was recognized as the best biological sciences presentation at the 2018 Chicago Area Undergraduate Research Symposium. Congratulations, Rachel! 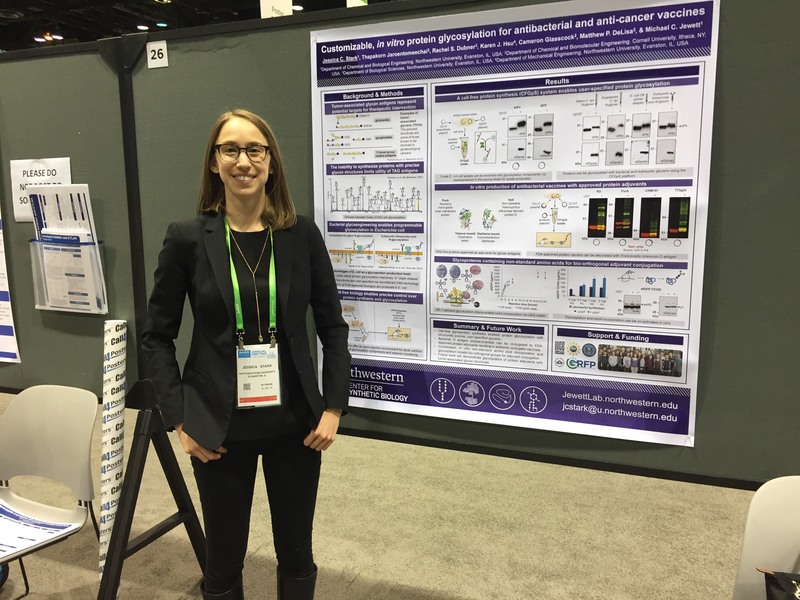 Jessica Stark presented her research on cell-free glycoprotein synthesis as a poster at the American Association for Cancer Research National Meeting in Chicago! Undersecretary of the Army Ryan McCarthy visited the Jewett lab as part of a roundtable discussion on increasing university-military research collaboration held at Northwestern. 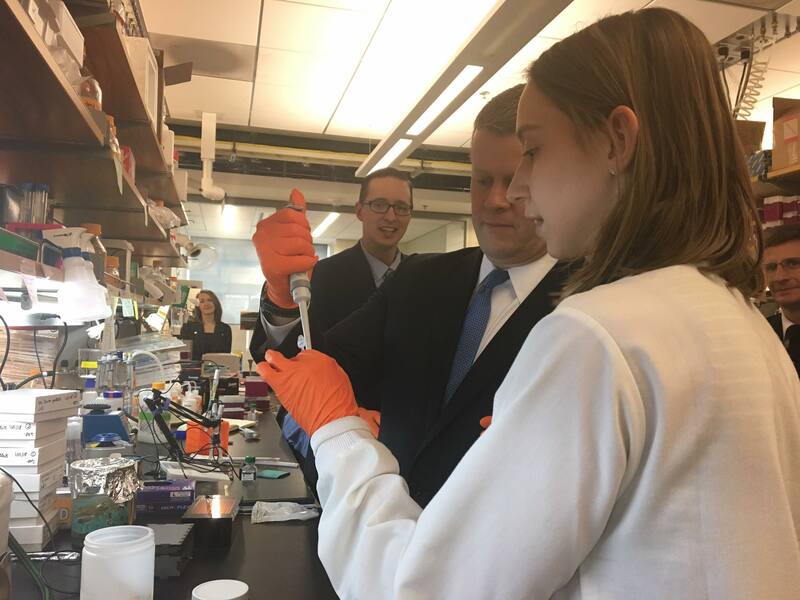 McCarthy (pictured with Jess) and other delegates learned about ongoing research and participated in a hands-on cell-free protein synthesis activity. Blake Rasor and Katie Warfel have received prestigious National Defense Science & Engineering Graduate fellowships. Congratulations! 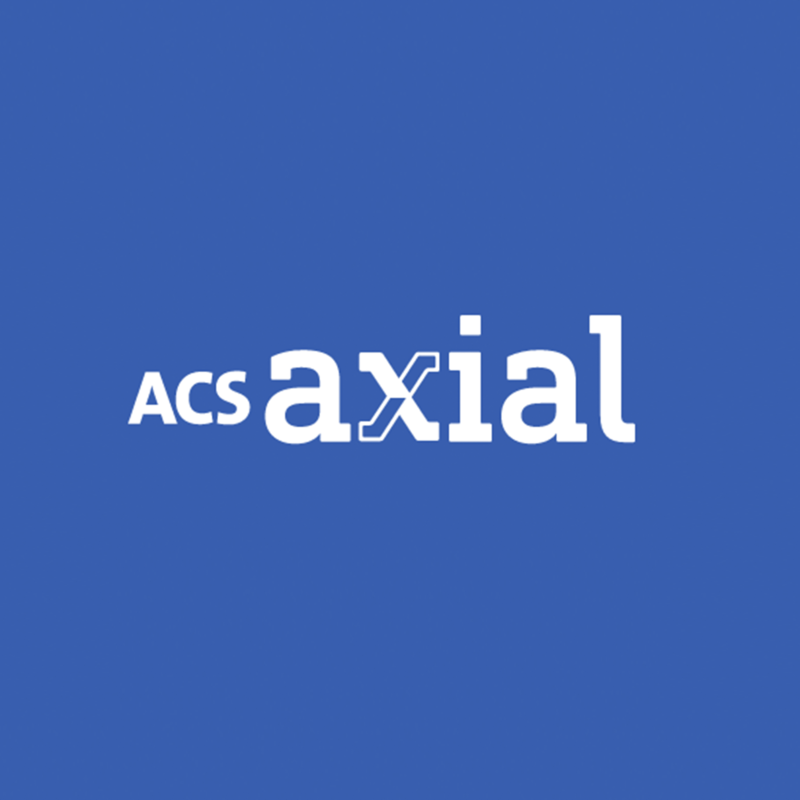 With NU collaborators Mrksich and Dravid, the lab was awarded a new grant to develop new approaches to control dynamics of proteins and protein assemblies using modular, stimuli-responsive chemical switches. 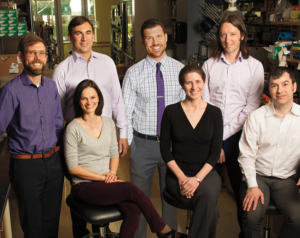 Congratulations to the lab for receiving an equipment grant for automatic ribosome design. 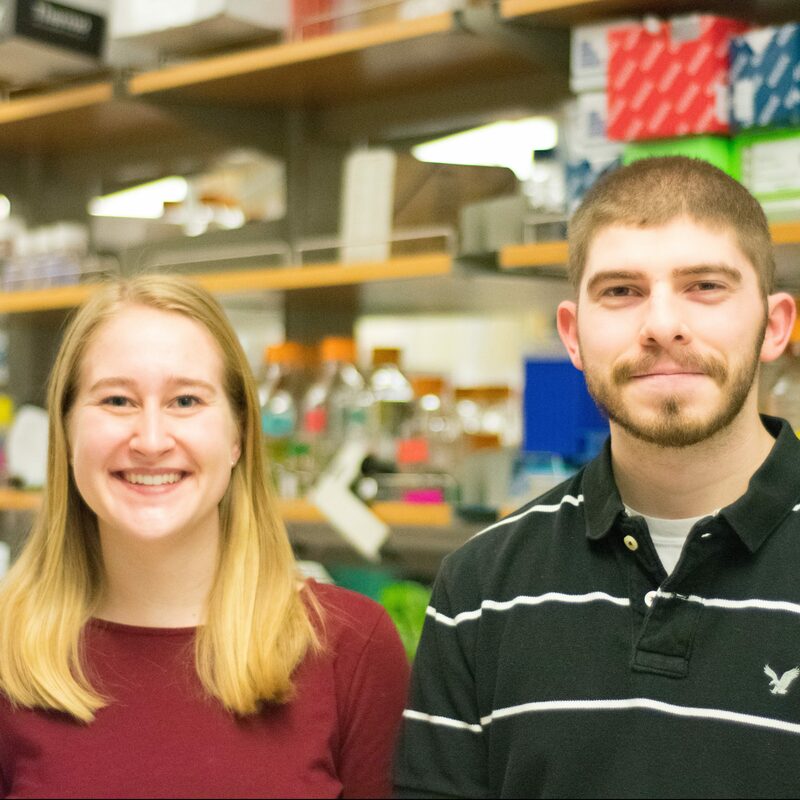 Congratulations to Blake Rasor (current Jewett Lab member) and Natalia Majewska (Jewett lab undergrad) for receiving the NSF graduate fellowship. Also, congrats to Katie Warfel for receiving an honorable mention. Way to go! The latest project funded by the Joint Genome Institute (JGI) is headed by Mike and Hal Alper of the University of Texas at Austin. In an article by Stephan Benzkofer, Mike discusses new innovations in cell-free biotechnology, recently published in the journal Nature Communications. Jess Stark presents her educational tools work at EBRC! 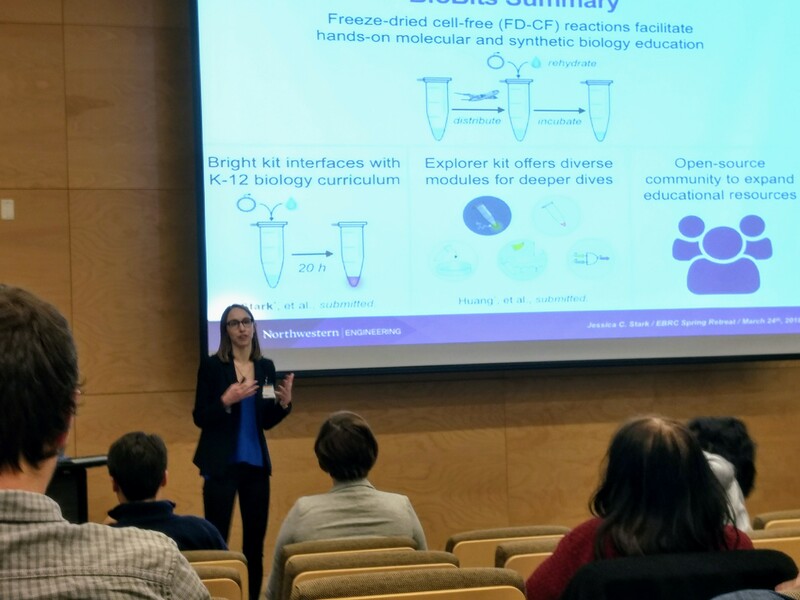 Jessica Stark gave an oral presentation at EBRC where she shared her work on generating cell-free educational tools! 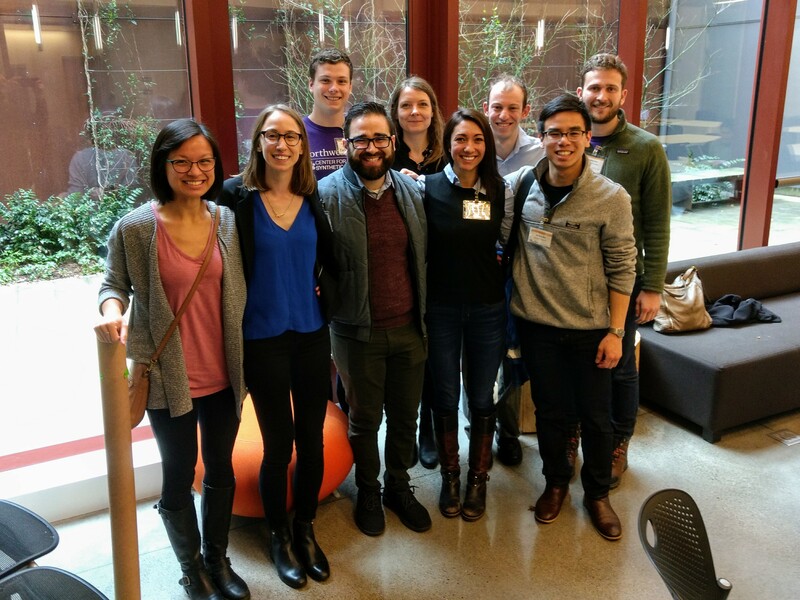 Jewett lab members gave oral and poster presentations at the 2018 EBRC conference at the University of Washington! Ashty wins ACS BIOT Peterson Travel Award! Ashty has won the ACS BIOT Peterson Travel Award! Way to go Ashty! Anne has been selected for an honorary Presidential Fellowship, the most prestigious fellowship awarded to graduate students by Northwestern University. Congrats, Anne! 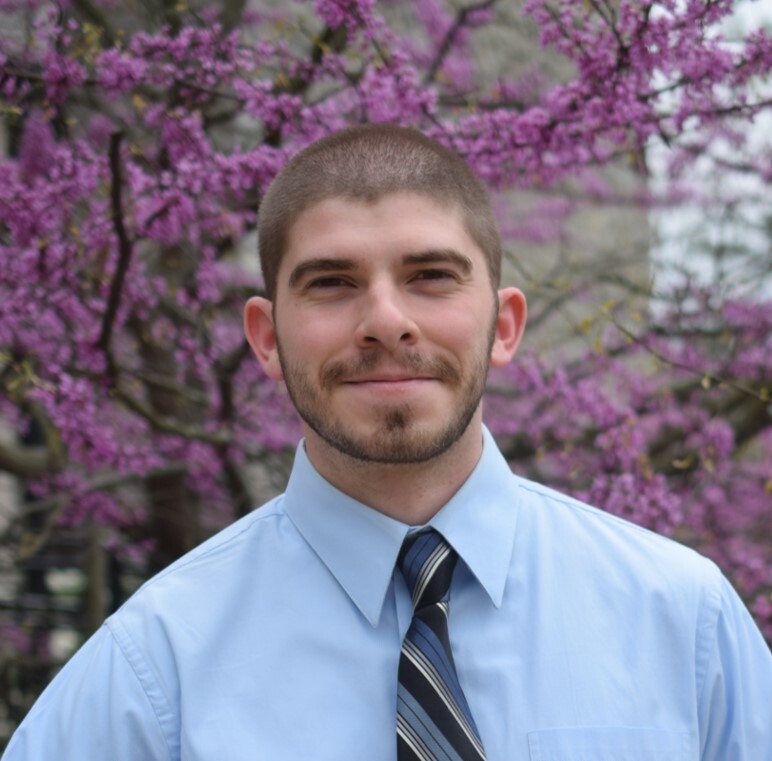 Sam has received a graduate fellowship in the Brady Scholar’s Program. Congrats, Sam! Tasfia gave a talk at the 2018 American Institute of Chemical Engineers Midwest Regional Conference at the Illinois Institute of Technology. 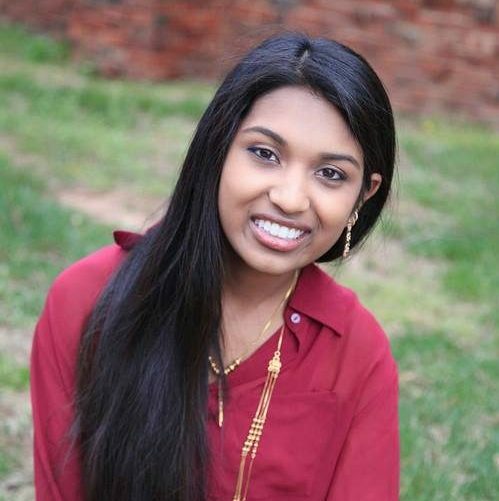 Congrats, Tasfia! Anne was awarded the NU BonD Travel award to give an oral presentation at ICBE Asia 2018 in Singapore! Congratulations, Anne! 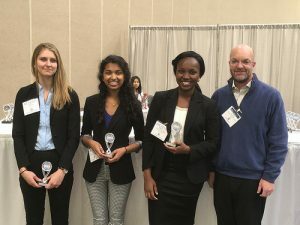 Tasfia’s poster won 2nd place in the Biotechnology, Food, and Pharma III Division at the 2017 AIChE Undergraduate Student Poster Competition held in Minneapolis, MN, where about 330 undergraduates from all over the nation presented their research. Congratulations, Tasfia! Anne and her twin sister Andrea are interviewed about their work inspiring young girls and minorities to pursue science. Ashty has received the 2017 Distinguished Graduate Researcher Award, an honor bestowed on the most outstanding graduate researcher in Northwestern’s Department of Chemical and Biological Engineering. In addition to his outstanding publication and patent record that has highlighted his research dedicated to advancing new paradigms for biomanufacturing sustainable chemicals, he served as a Teaching Apprentice for the undergraduate process controls course, working with Josh Leonard, to high acclaim. Congratulations, Ashty! 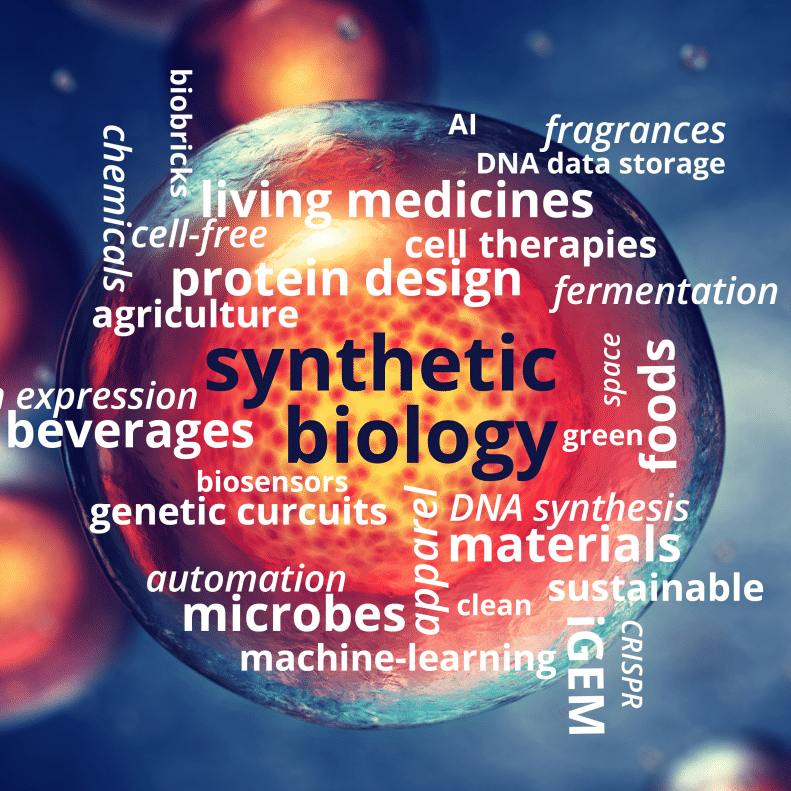 In a recent article published in The Scientist Magazine, Mike comments on the power of making custom molecules through DNA synthesis in an automated fashion. This is in regards to new work being conducted by Synthetic Genomics in La Jolla, CA. Check it out! Anne was selected as one of this year’s Ryan Fellows. The fellowship is awarded to the finest graduates students working in the realm of nanotechnology. Congrats, Anne! 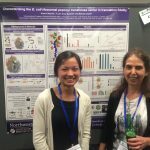 Anne presented a poster on her ribosome work and Weston gave a talk in the student session at SEED in Vancouver, Canada this year. Awesome job! 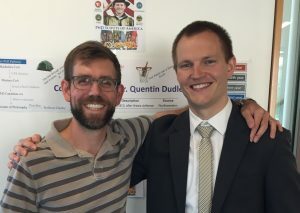 Quentin Dudley has successfully defended his dissertation and will be graduating as Dr. Quentin Dudley. Congrats, Quentin! Rey Martin has successfully defended his dissertation and will be graduating as Dr. Rey Martin. Congrats, Rey! 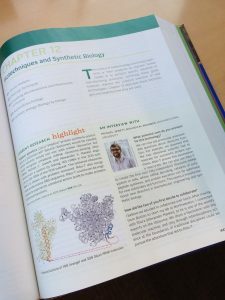 Mike and the rest of the synthetic biology professors are the subject of one of the featured stories in the most recent issue of McCormick School of Engineering’s Spring publication. 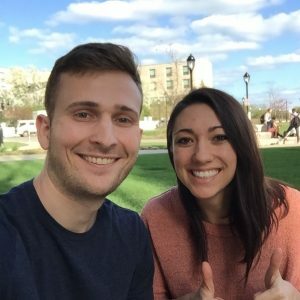 Congrats, Mike! 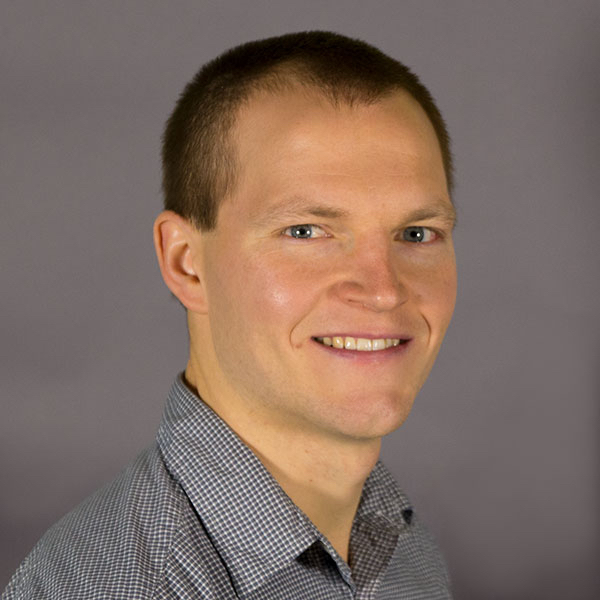 Erik Carlson has successfully defended his dissertation and will be graduating as Dr. Erik Carlson. Congrats, Erik! Rey’s recent publication in ACS Synthetic Biology was just highlighted in C&EN news. This work shows the development of a cell-free platform for rapid, high-throughput prediction of mAb expression ranking to accelerate design–build–test cycles required for antibody expression and engineering. Mike has joined the expanded editorial board of the journal Cell Systems. 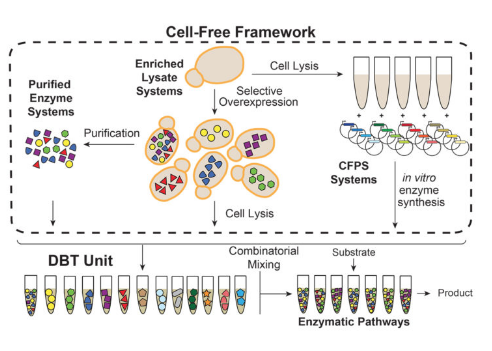 As featured in this editorial, Mike joins several others in expanding the scope of what Cell Systems has to offer! 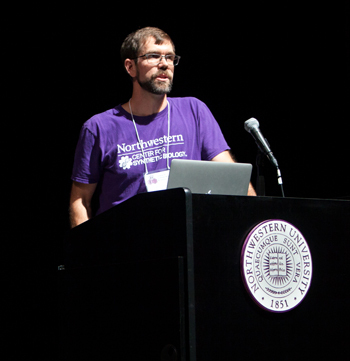 Mike was one of seven professors from Northwestern University to be selected for his commitment to and excellence in teaching. This award was highlighted in McCormmick news. Congrats, Mike! 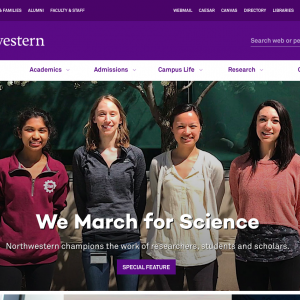 Tasfia, Jess, Anne, and Jazzy make Northwestern’s website’s front page in their video clip contribution to Northwestern’s March for Science video. Great representation of the Jewett Lab! 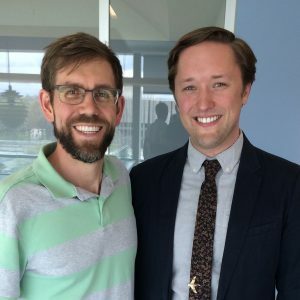 Adam Hockenberry, co-advised with Mike and Luis Amaral, has successfully defended his dissertation and is graduating as Dr. Adam hockenbery. Congrats, Adam! Jazzy and Andrew have each received the National Defense Science and Engineering Graduate Fellowship. This fellowship is only awarded to 150 graduate students national-wide who have demonstrated the ability and special aptitude for advanced training in science and engineering. Congrats to both Andrew and Jazzy! Andrew also was awarded the National Science Foundation Graduate Research Fellowship. 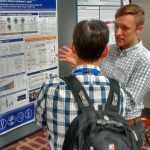 The NSF Graduate Research Fellowship Program recognizes and supports 2,000 outstanding graduate students in NSF-supported science, technology, engineering, and mathematics each year. Congrats, Andrew! The lab has been funded by the Human Frontier Science Program to create an ancient version of a cell. 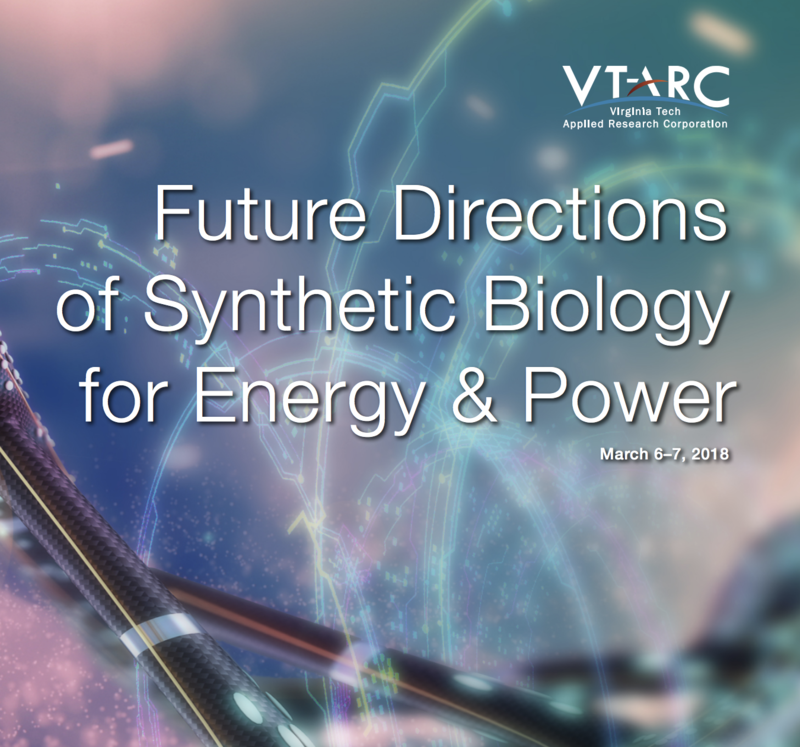 The team includes Andrew Ellington, professor of chemistry and biochemistry, at The University of Texas at Austin; Philippe Marliere, synthetic biologist at Genopole Evry in France; and Hiroaki Suga, professor of chemistry, at the University of Tokyo. 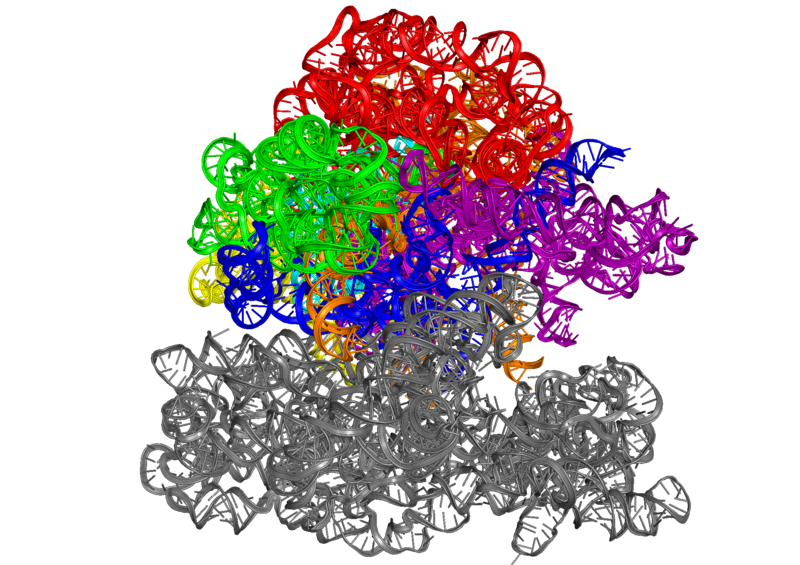 The plan is to create a cell that uses ribozymes for transcription and tranlsation. This award was highlighted by Northwestern Engineering News. 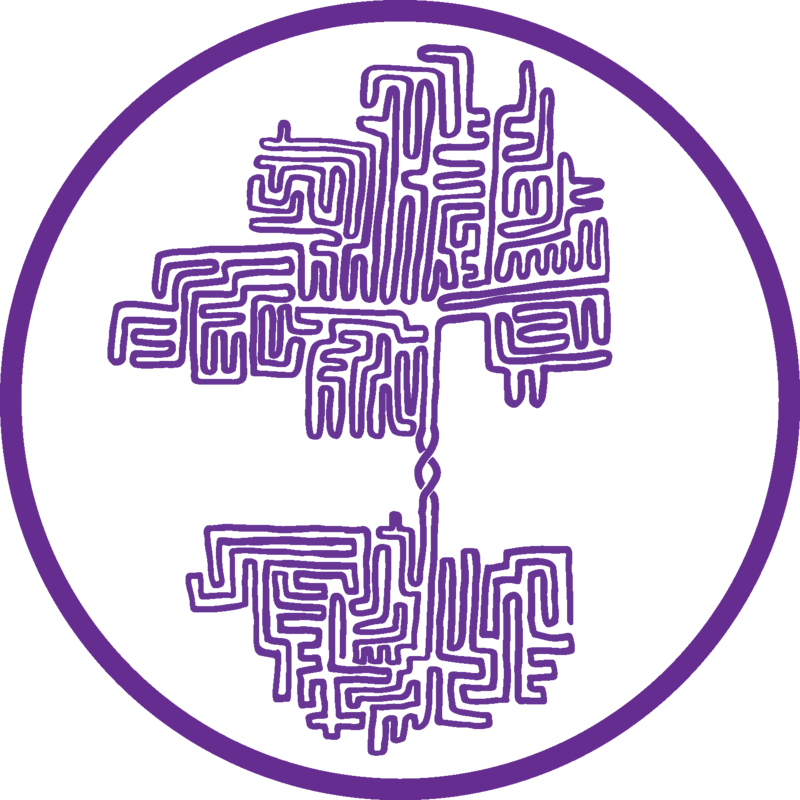 The Human Frontier Science Program (HFSP) is an international program of research support, funding frontier research on the complex mechanisms of living organisms. Research is funded at all levels of biological complexity from biomolecules to the interactions between organisms. Northwestern hosted this year’s retreat for the Engineering Biology Research Consortium (EBRC) at Norris University Center. Nearly 170 faculty, researchers, and students attended from multiple universities including MIT, Harvard, Columbia University, Caltech, Cornell, Stanford, and the University of California at Berkeley. Many exciting talks and posters were presented and our very own Ashty Karim won a poster award. 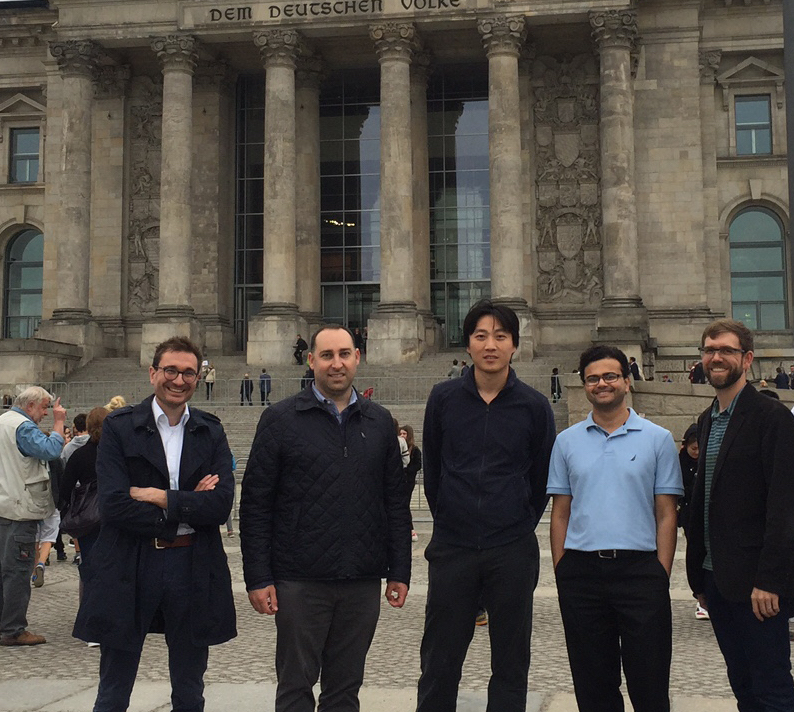 It was a great event for the Center for Synthetic Biology and for our lab! 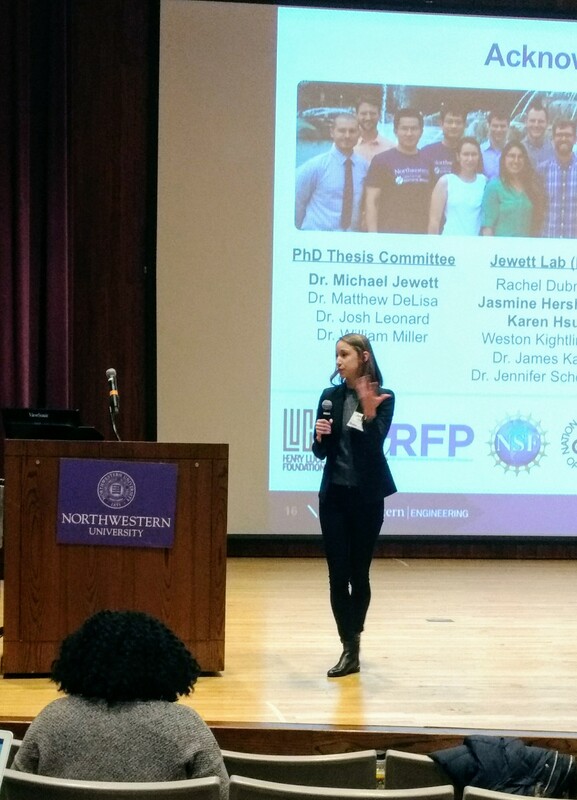 Jess gave a talk on her research at the spring 2017 EBRC retreat held at Northwestern. Great job! Ashty was selected to attend the 2017 Lindau Nobel Laureates Meeting in June this year. Once every year, 30–40 Nobel Laureates convene at Lindau to meet the next generation of leading scientists: 400-500 undergraduates, PhD students, and post-doc researchers from all over the world. The Lindau Nobel Laureate Meetings foster the exchange among scientists of different generations, cultures, and disciplines. Congrats, Ashty! 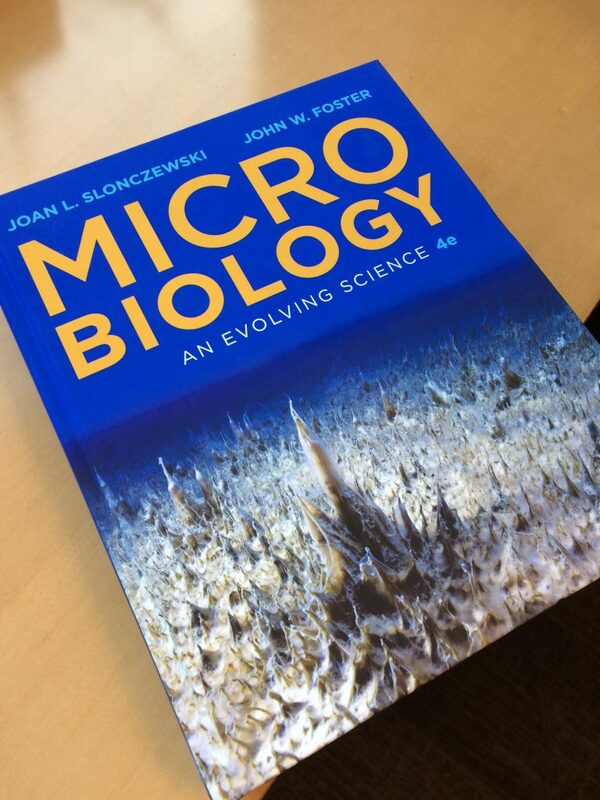 Work done in the lab on Ribo-T was recently highlighted with an interview with Mike in the textbook, Microbiology: An Evolving Science, by Slonczewski and Foster. Jessica Perez started her new job this month as the Associate Director of Education and Inclusivity with the Center for Power Optimization of Electro-Thermal Systems Research (POETS). 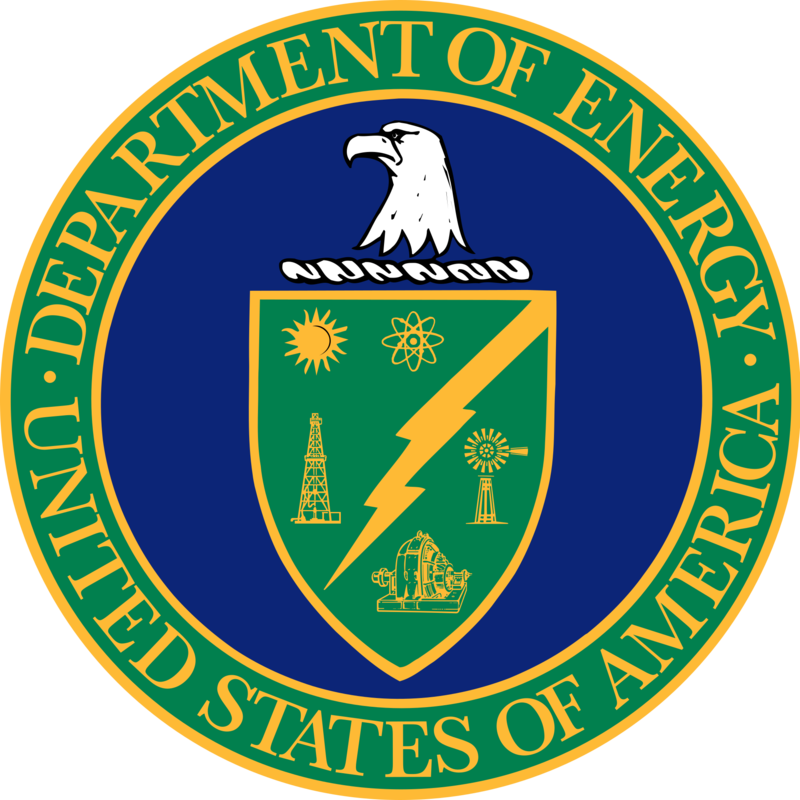 POETS is an Engineering Research Center (ERC) with the long term goal of increasing the power density of current mobile electrified systems by 10-100 times over current state of the art systems. Jessica will work on the Center’s strategic education and workforce development plans including diversity/inclusivity in Science, Engineering, Technology and Mathematics (STEM). Congrats, Jessica! Quentin Dudley, Ashty Karim, and Jessica Stark attended the American Institute of Chemical Engineers Annual Meeting in San Francisco, California to give talks on their work. All were well received, and Jessica Stark was awarded one of four total awards given this year in Division 15 (Food, Pharmaceutical, and Bioengineering). Congrats, Jessica! 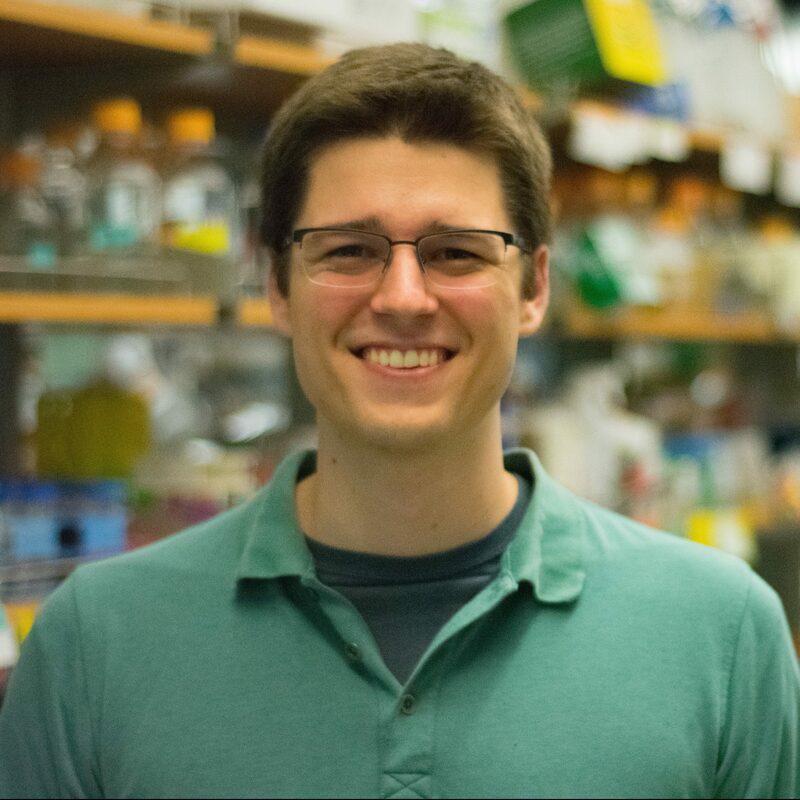 Mike Jewett is awarded the American Chemical Society’s Division of Biochemical Technology (BIOT) Young Investigator Award, sponsored by Genentech, Inc. Mike will give an award lecture at the 253rd ACS National Meeting in San Francisco, California in April. Congrats, Mike! Ashty and Anne attended the inaugural retreat for the Engineering Biology Research Consortium (EBRC) at California Institute of Technology in Pasadena, CA. Ashty presented a talk in the public webcast session, and Anne presented a poster. Anne won a first place poster award for her work on engineering ribosomes! The EBRC aims to bring together an inclusive community committed to advancing biological engineering to address national and global needs. It is comprised of academic members from over two dozen U.S. universities and biotechnology firms ranging from start-ups to multinational conglomerate companies. 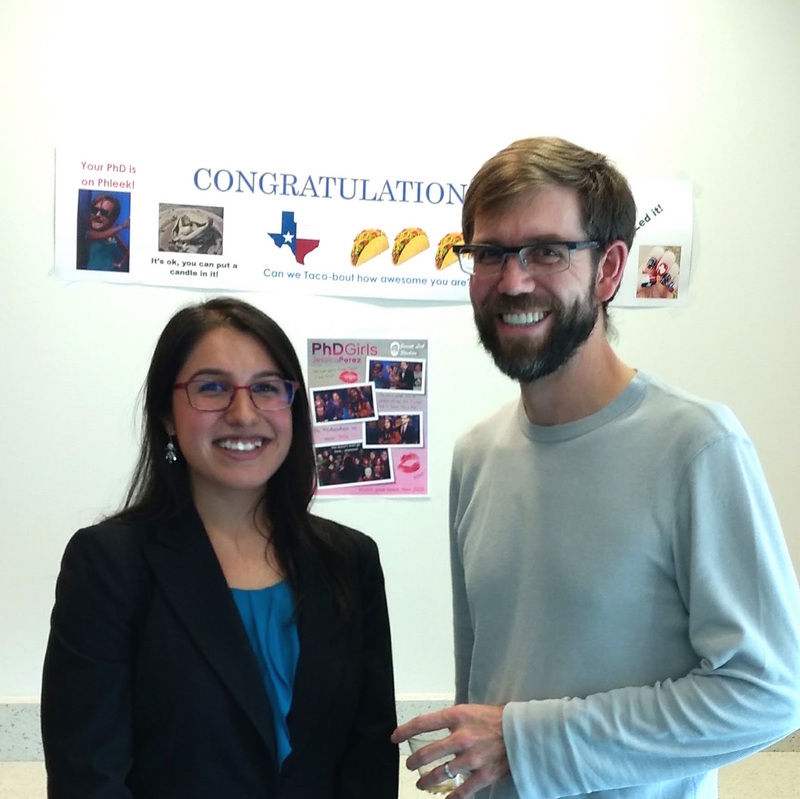 Jessica Perez has successfully defended her dissertation and is graduating as Dr. Jessica Perez. Congrats Jessica! 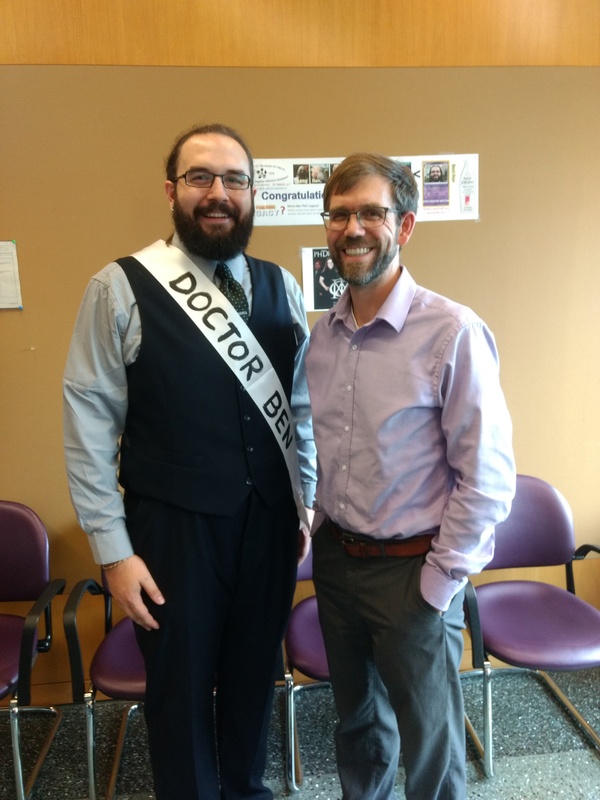 Weston Kightlinger passes his qualifying exam. He is now a Ph.D. candidate. Congratulations! Do Soon Kim passes his qualifying exam. He is now a Ph.D. candidate. Congratulations! Professor Michael Jewett gave the inaugural Suzanne C and Duncan A Mellichamp Distinguished Lecturer in the Department of Chemical and Biomolecular Engineering at the Georgia Institute of Technology. 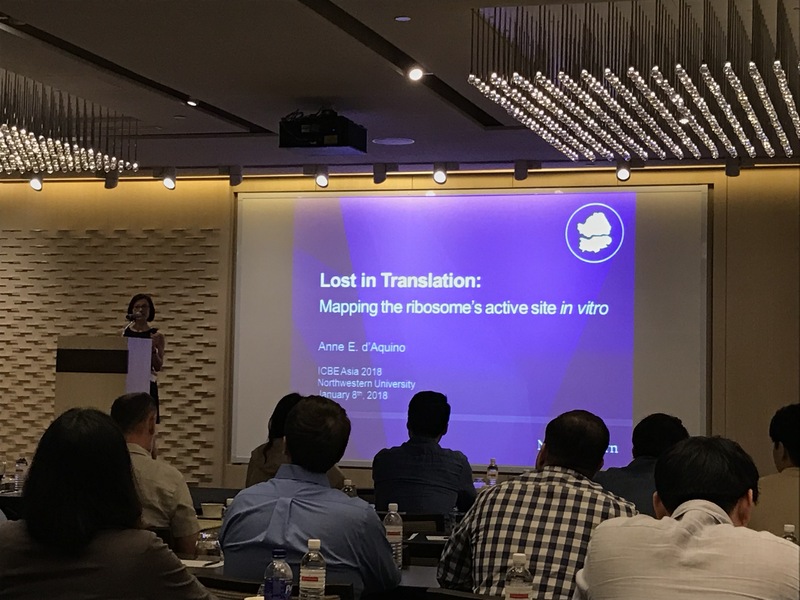 Dr. Jewett’s lecture titled” Repuposing ribosomes for synthetic biology” offered an exciting vision towards new directions in harnessing the translation apparatus of the cell to manufacture medicines and functional materials. 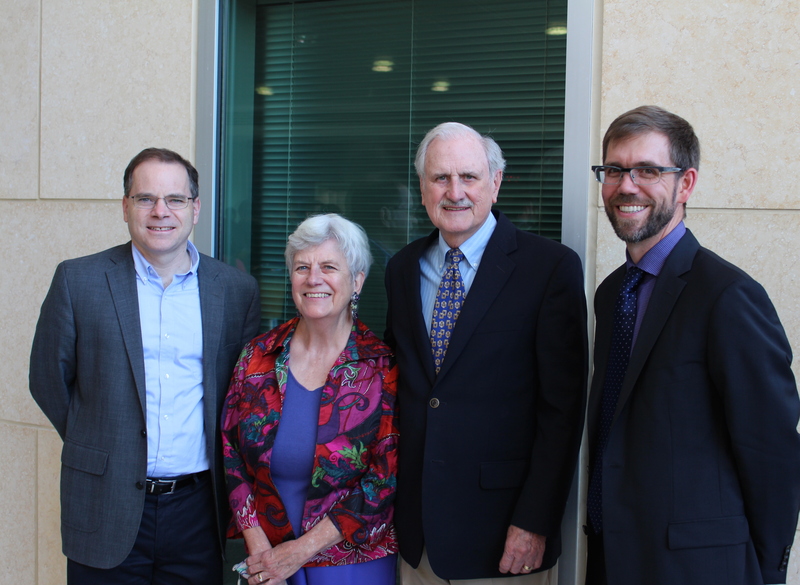 In the photo left to right are David Scholl (Chair Chemical and bimolecular engineering GaTech), Suzanne Mellichamp, Duncan Mellichamp, and Michael Jewett. 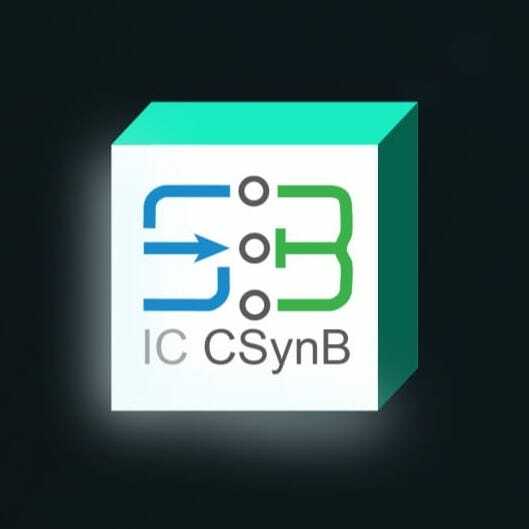 With the launch of the Center of Synthetic Biology (CSB) we are organizing a team and the infrastructure to solve big problems. 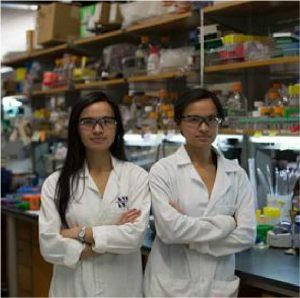 The Northwestern Medicine Magazine is featuring our endeavors to retool biological systems to develop new materials and therapeutics. Read more about this here. 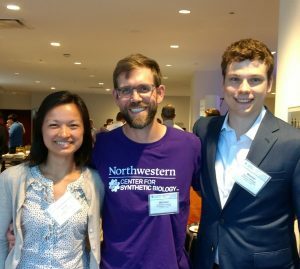 Our lab attended the 2016 Synthetic Biology: Engineering, Evolution & Design (SEED) conference held in Chicago sharing research endeavors with the SynBio community. 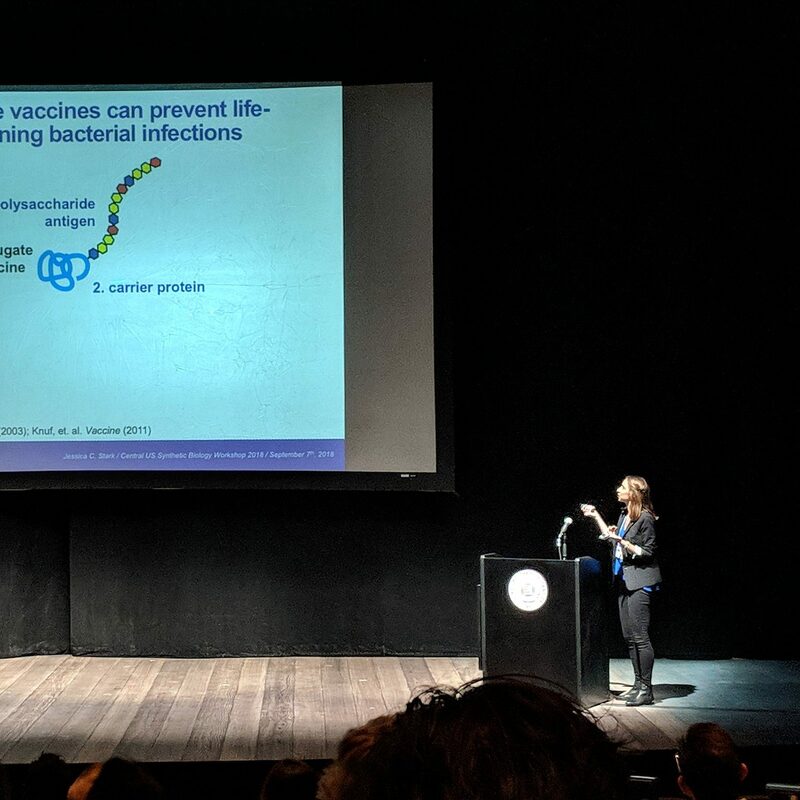 One highlight includes Jessica Stark giving a well-received talk on cell-free glycosylation. In addition, Erik Carlson and Ashty Karim received poster awards for their research. New funding from the Department of Defense’s Multidisciplinary University Research Initiatives (MURI) program helps the lab extend our research to engineer and repurpose the ribosome to make new kinds of polymers for flow batteries. Read more about this here. Jennifer Kay has successfully defended her dissertation and is graduating as Dr. Jennifer Kay. Congrats Jennifer! Jen Schoborg has officially graduated and gets ready to start her job as a Research Scietist at Pfizer. 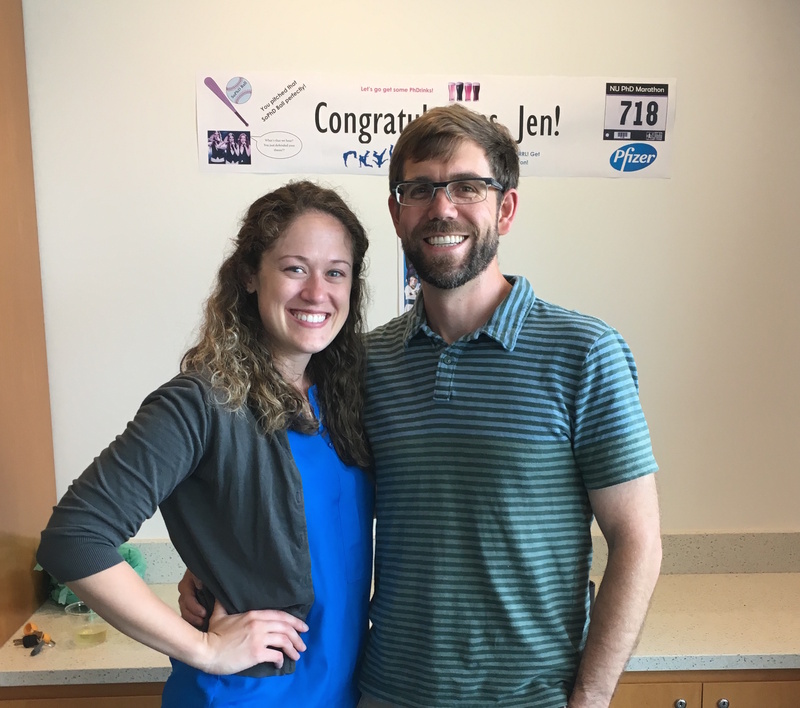 Congrats and good luck, Jen! Jen Schoborg has successfully defended her dissertation and is graduating as Dr. Jennifer Schoborg. Congrats Jen! 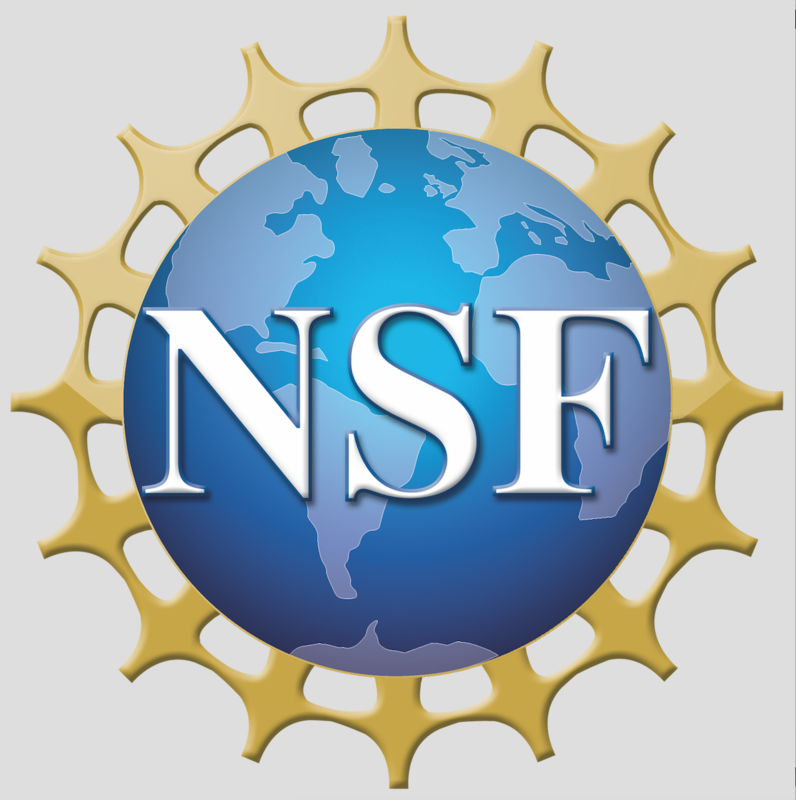 Do Soon has been awarded the NSF Graduate Research Fellowship, and Jazzy received an Honorable Mention. Congrats Do Soon and Jazzy! 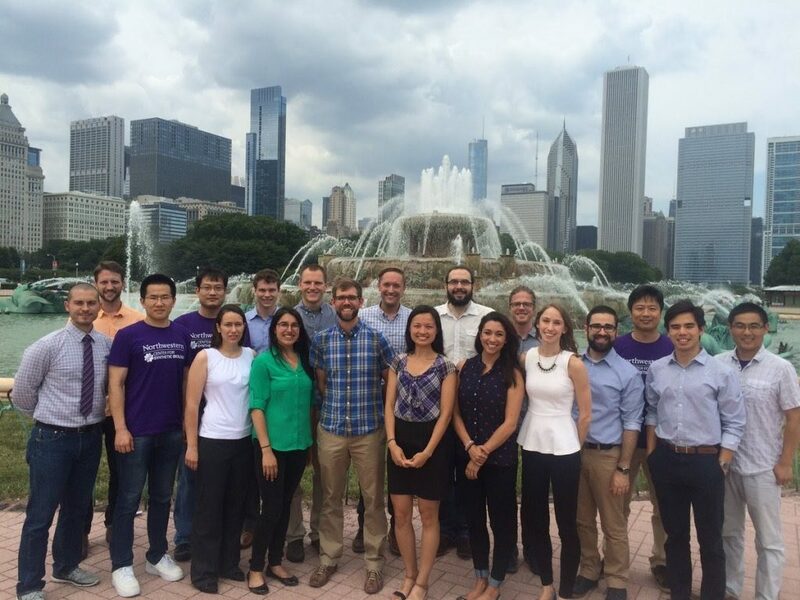 Northwestern launched it’s Center for Synthetic Biology this month bringing together faculty and students from the McCormick School of Engineering, the Weinberg College of Arts and Sciences, and the Feinberg School of Medicine. The Center provides a midwest hub for scientists and engineers working to program biological systems to solve some of the world’s biggest problems. Check out more about the center. Lauren Clark has been with the lab for two years serving as lab manager and as research staff. She is essential to the research the lab does. To years to come! James Kath, postdoctoral researcher, and Justin Wang, Masters in Biotechnology student, join the lab. Welcome to the Jewett Lab! Ashty Karim passes his qualifying exam. He is now a Ph.D. candidate. Congratulations! 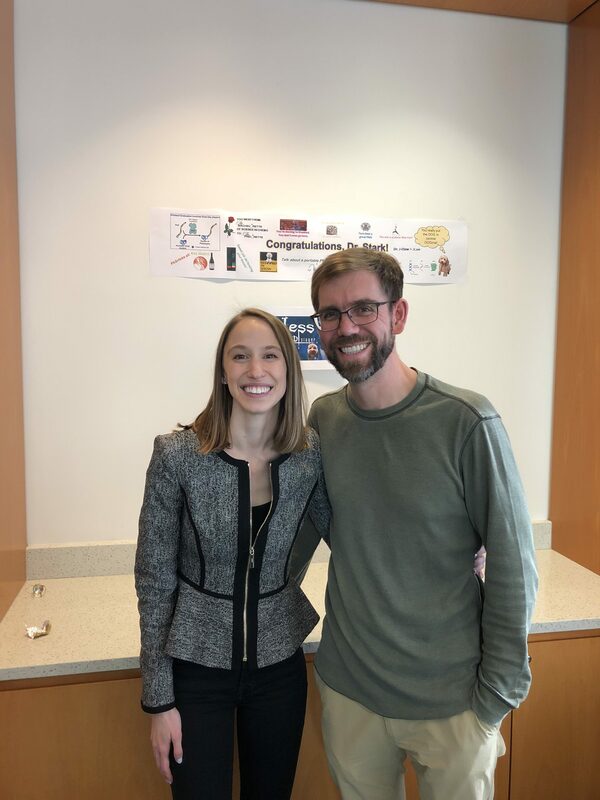 Jessica Stark passes her qualifying exam. She is now a Ph.D. candidate. Congratulations! Javin Oza’s new publication on CFPS of phosphoproteins is out in Nature Communications. This article has garnered press highlighting the newfound ability to study special proteins associated with disease. Professor Jewett has been promoted to Associate Professor with tenure. Congratulations! Seok Hoon Hong, former postdoctoral researcher, has accepted a position at the Illinois Institute of Technology (IIT). Congratulations to him and the start of the Hong Lab at IIT. 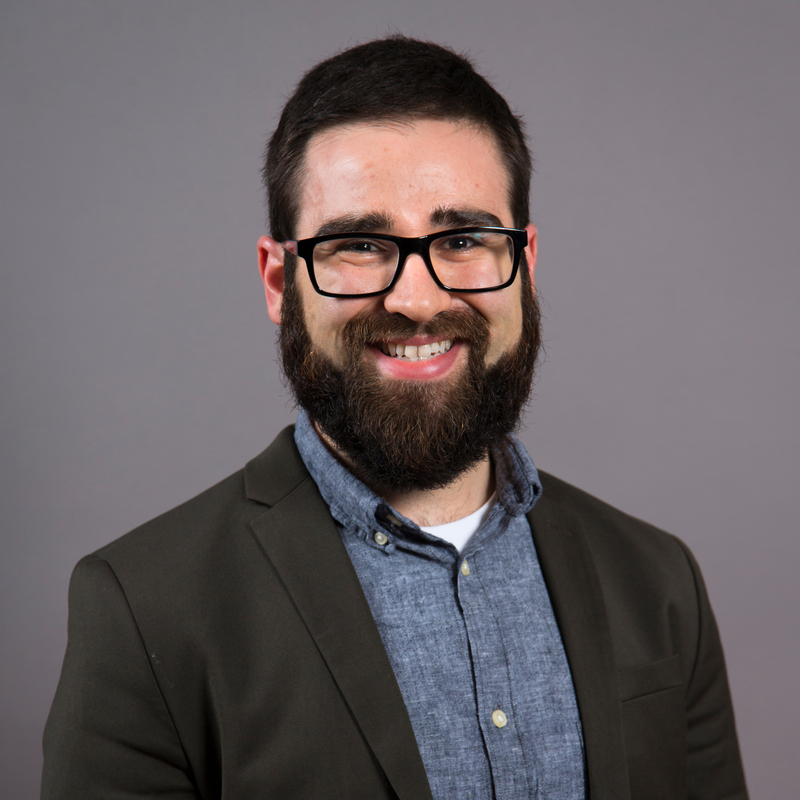 Adam Hockenberry highlighted as a Northwestern Presidential Fellow, one of the most prestigious awards given to graduate students at Northwestern University. Congratulations! 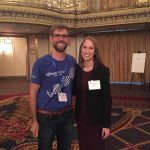 Do Soon Kim is selected as a Biotechnology Training Program (BTP) Fellow, Weston Kightlinger is selected as a BTP Cluster member. Congratulations! Anne D’Aquino is selected as a Biophysics Training Program Cluster member. Congratulations! Professor Jewett selected to chair the 2016 Synthetic Biology Engineering, Evolution, and Design (SEED) Conference. Professor Jewett selected to chair the 2016 International Conference on Biomolecular Engineering (ICBE) Conference. Professor Jewett is awarded with the Camille Dreyfus Teacher-Scholar Award. Congratulations! Professor Jewett is invited to give a lecture at the 2015 Synthetic Biology Gordon Research Conference.